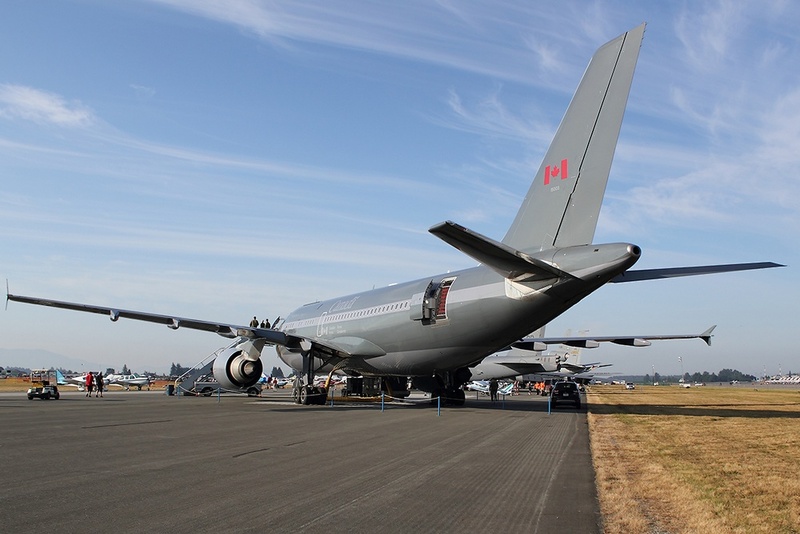 It was August 11th and 12th 1962 when the very first airplanes took to the skies at Abbotsford International for an airshow. 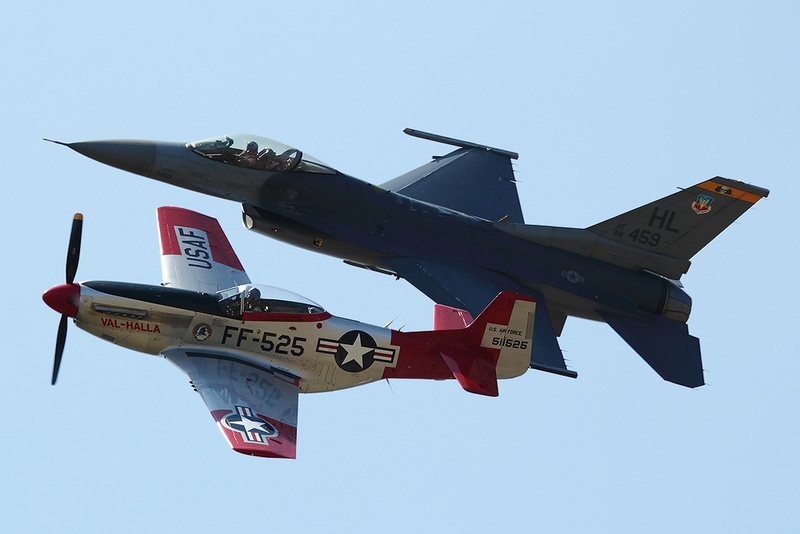 Fifty years later the show goes on, attracting demo teams from around the world to perform at one of the top-tier shows in North America. 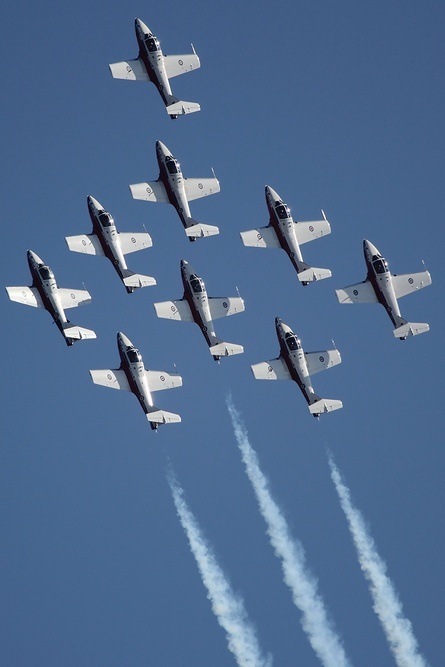 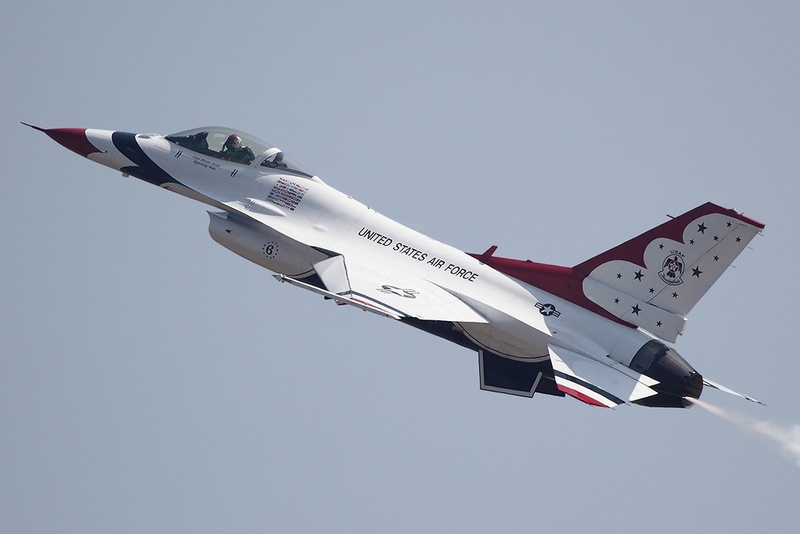 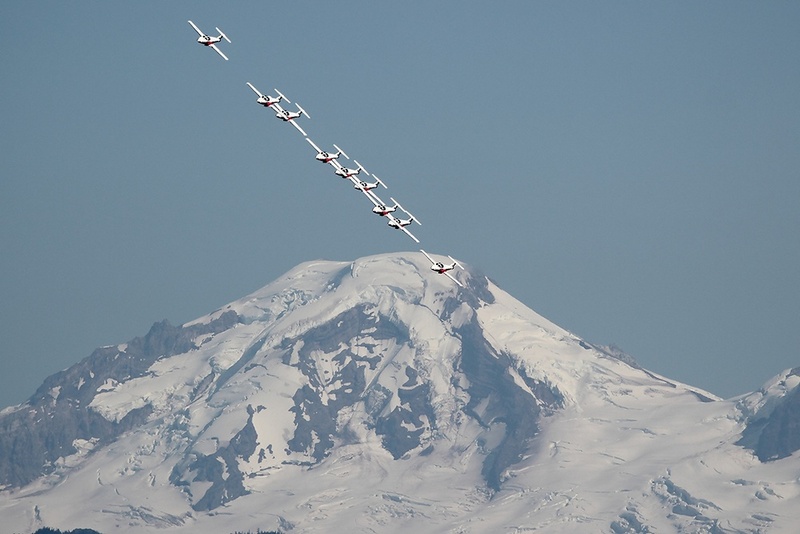 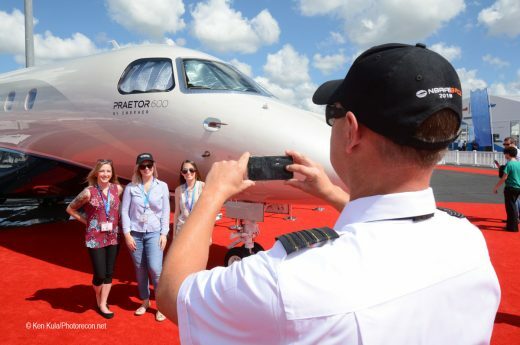 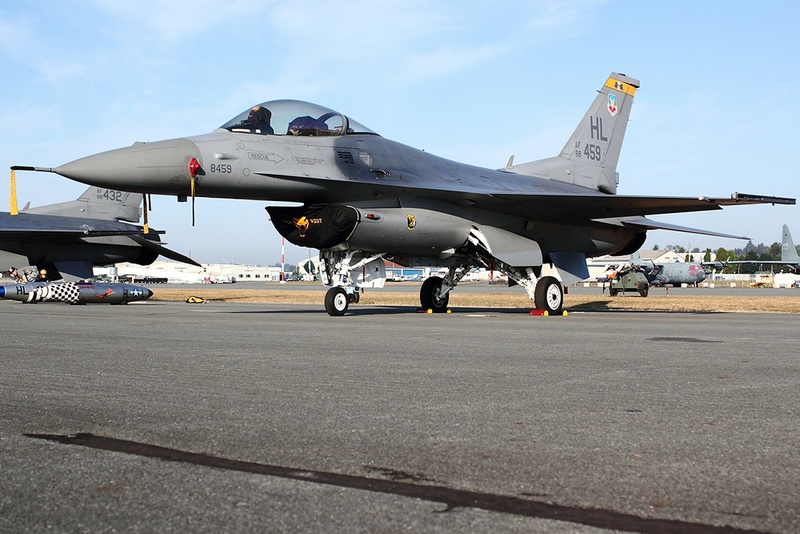 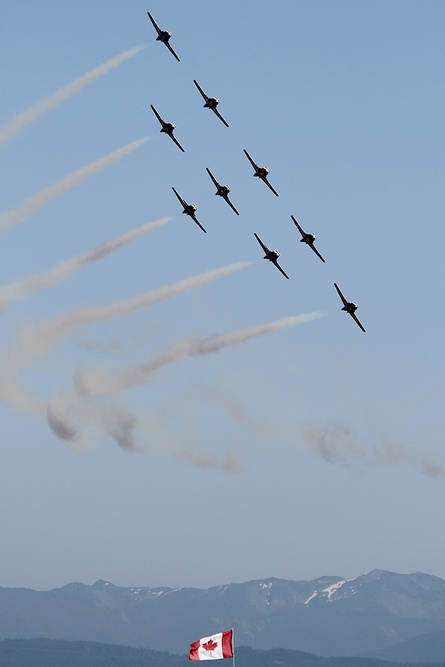 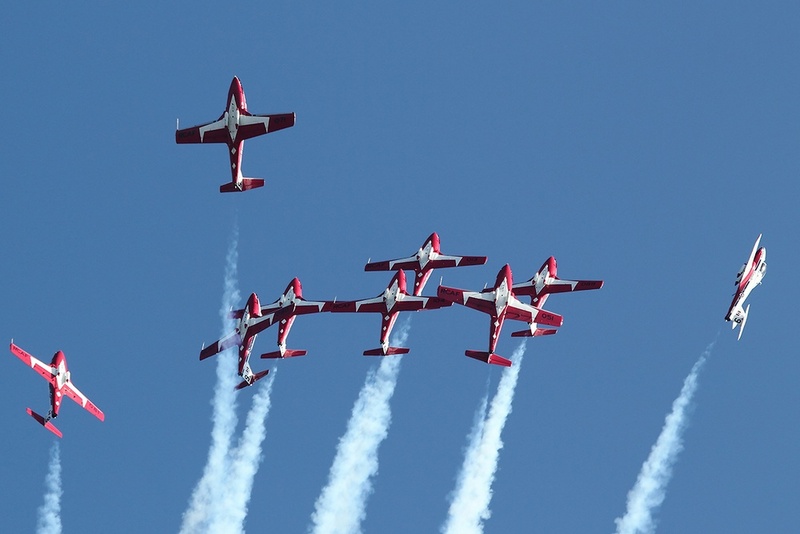 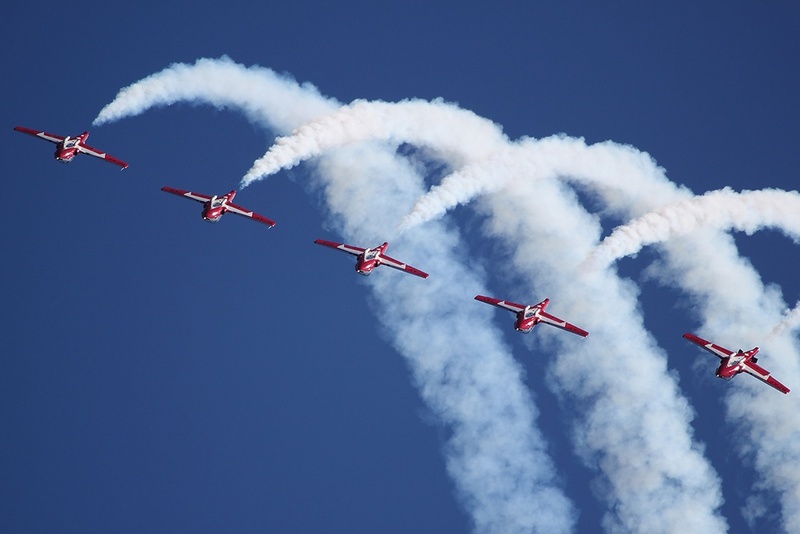 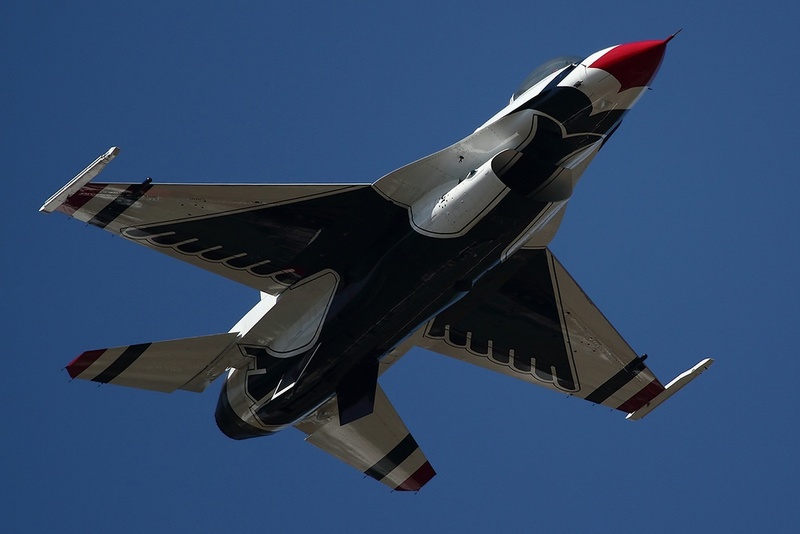 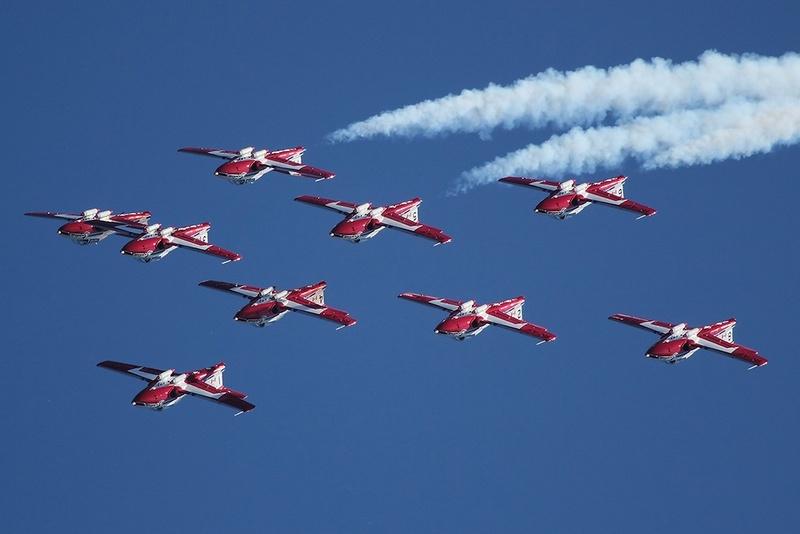 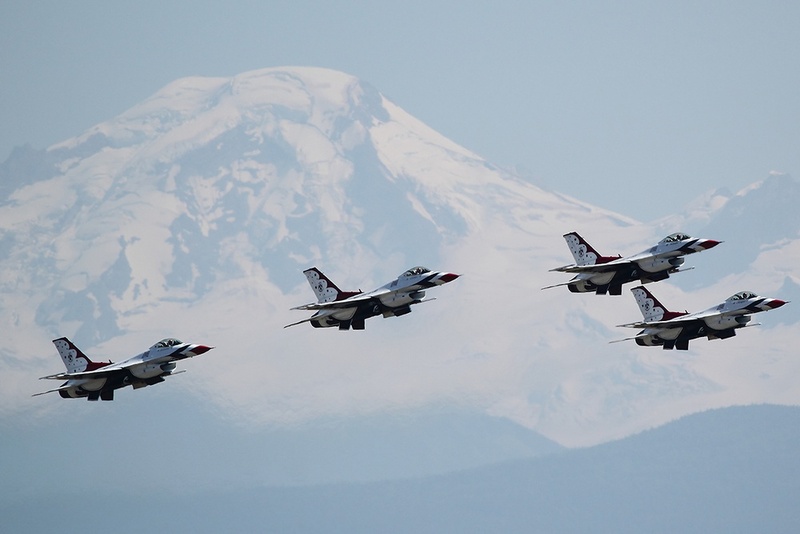 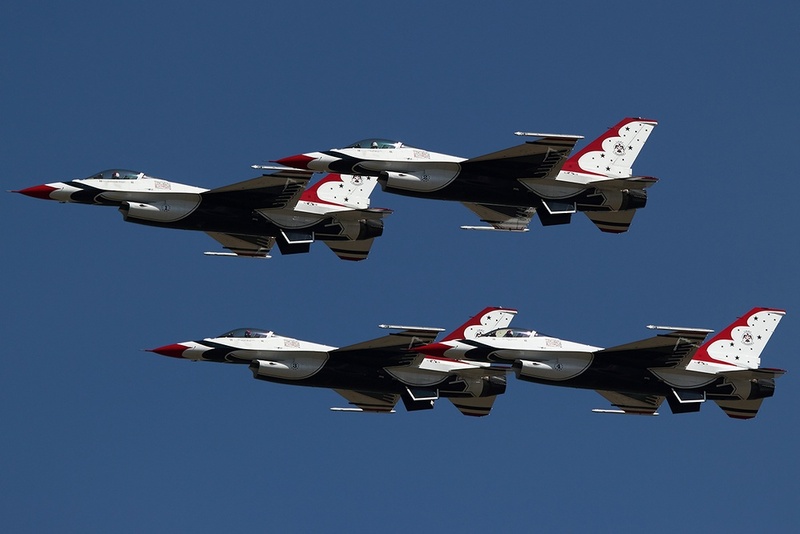 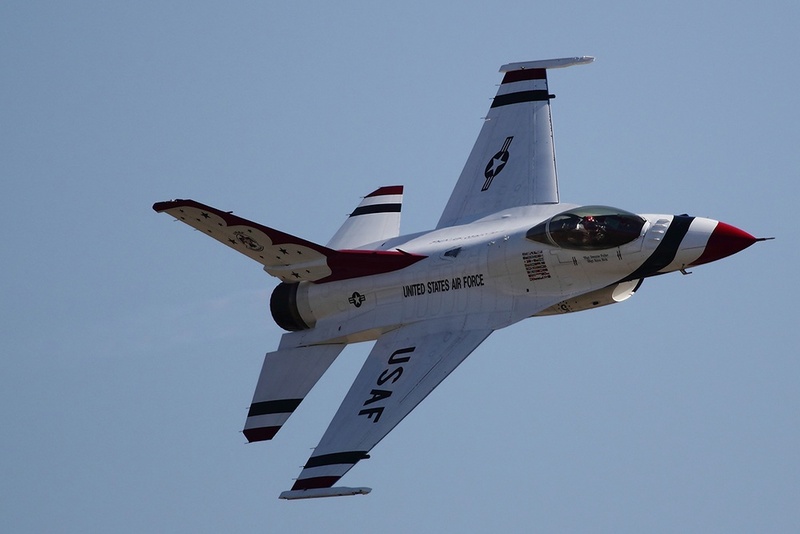 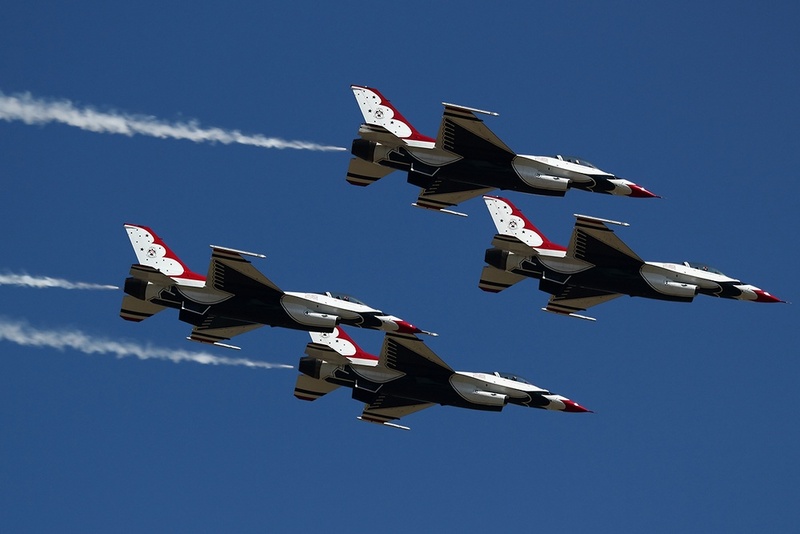 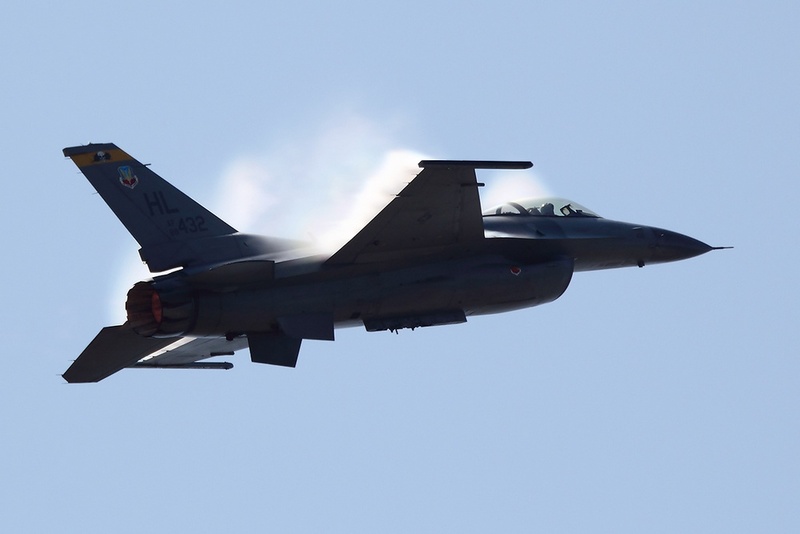 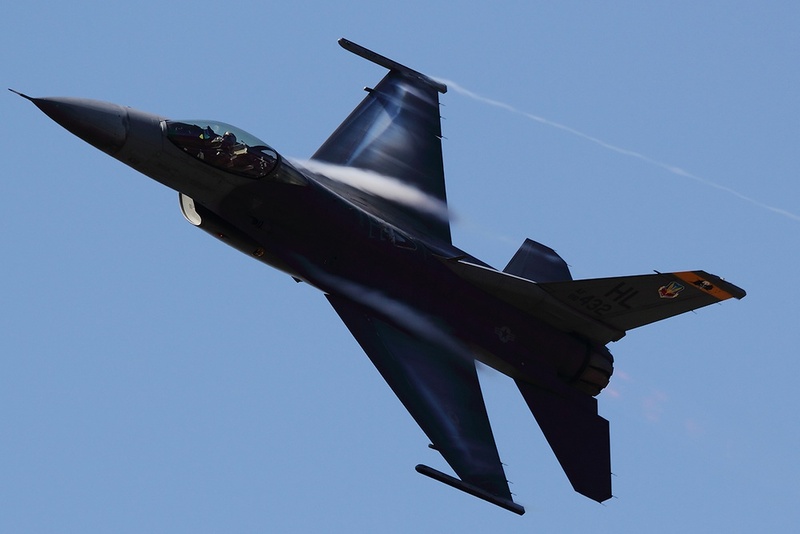 This year the big teams to take the stage were the Canadian Snowbirds along with the United States Air Force Thunderbirds who made their 15th appearance at the show. 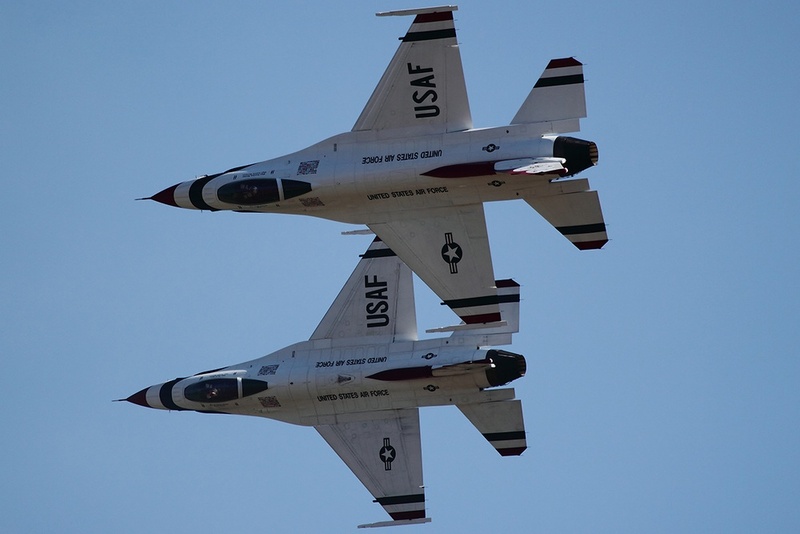 The first time the Tbirds appeared was in 1969 when they were still flying the F-4 Phantom. 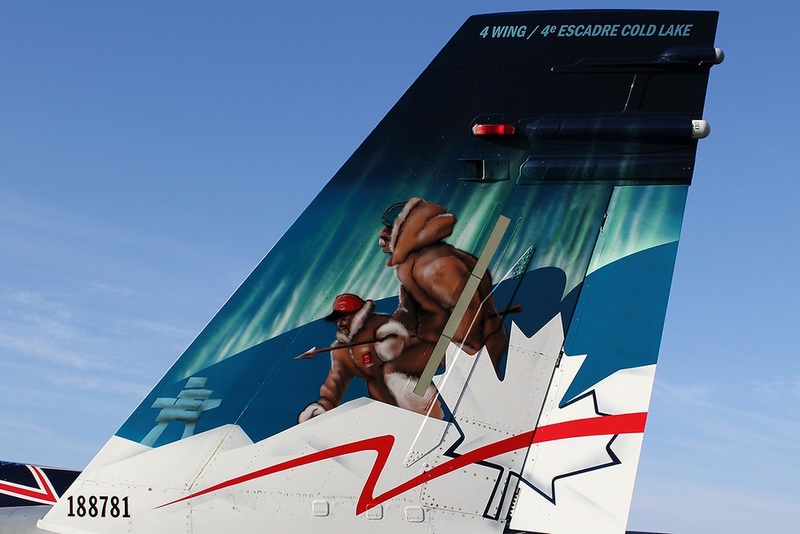 For the Snowbirds this would be the 41st visit out west, having visited every year since the team’s creation in 1971. 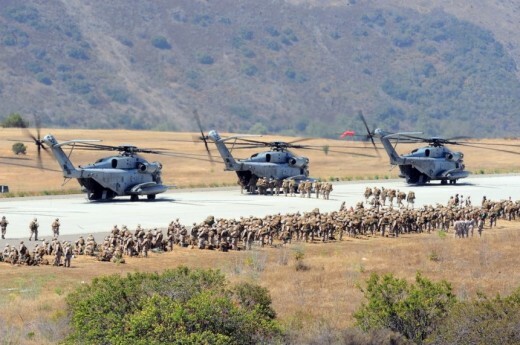 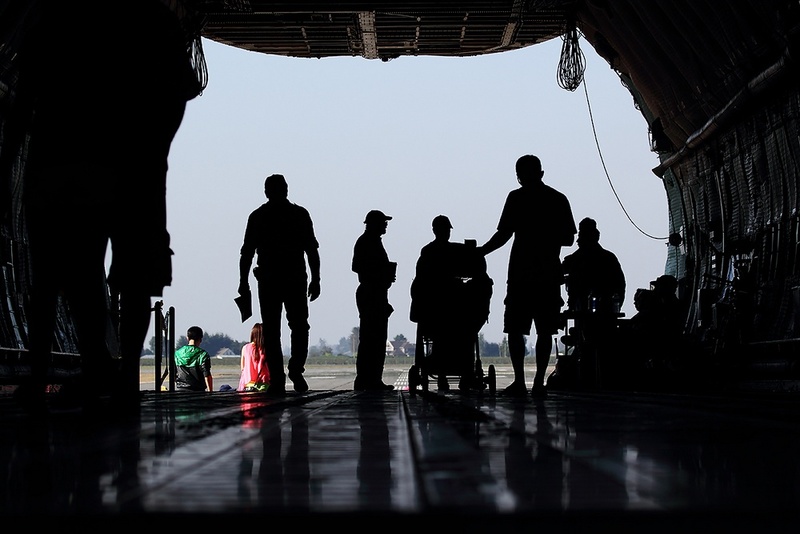 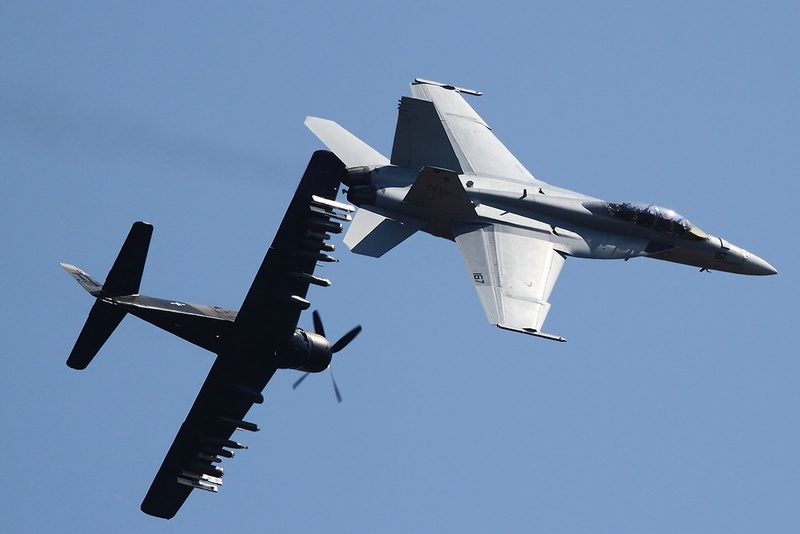 There would be many participants from both the Canadian and the US armed forces this year. 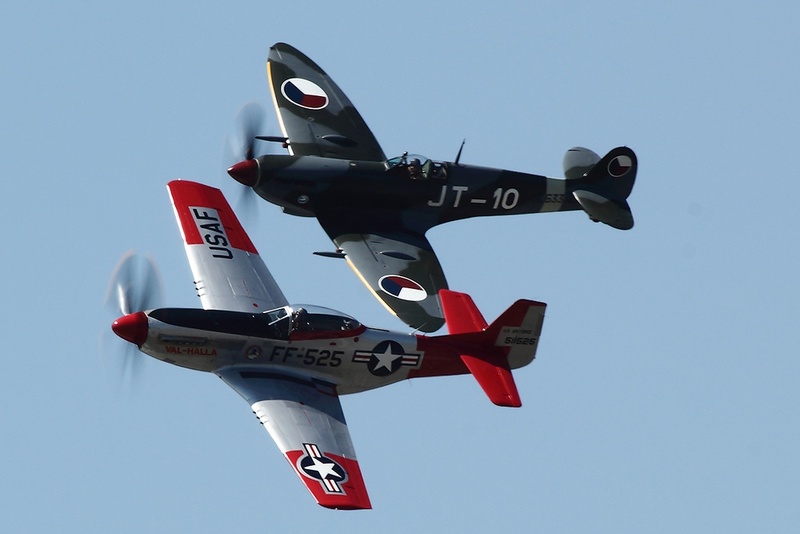 Coming up from the states were a number of high-powered, high fun performers. 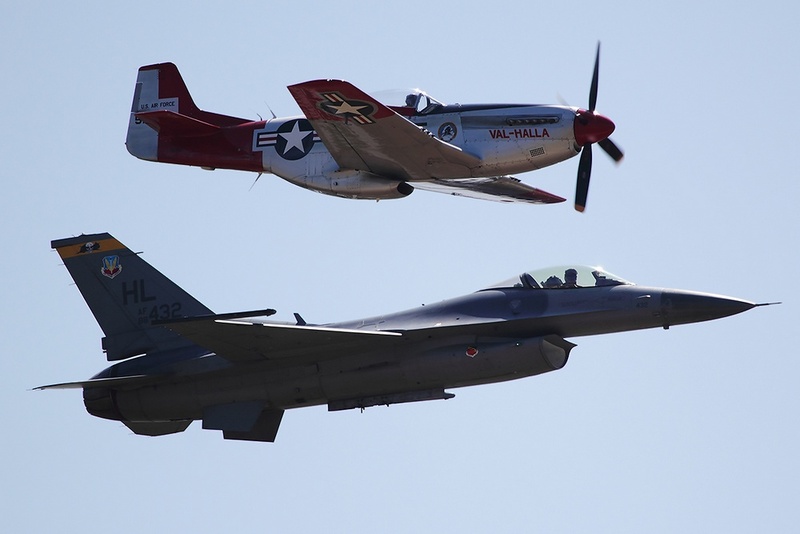 First, the F-16 Heritage flight, piloted by Captain Garret “Mace” Dover accompanied by a P-51 Mustang flown by Greg “B.A.” Anders. 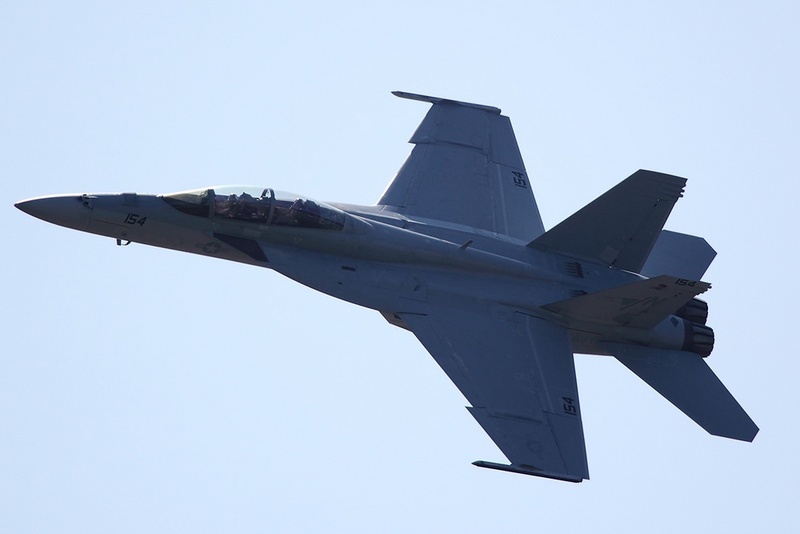 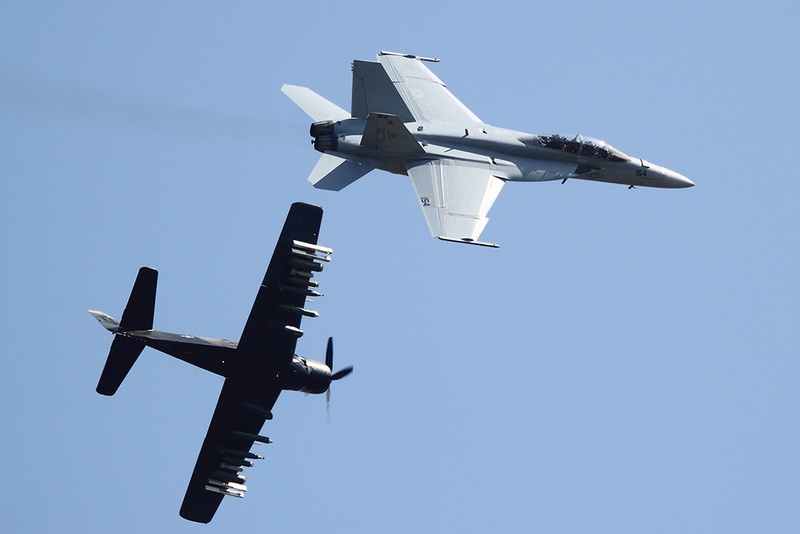 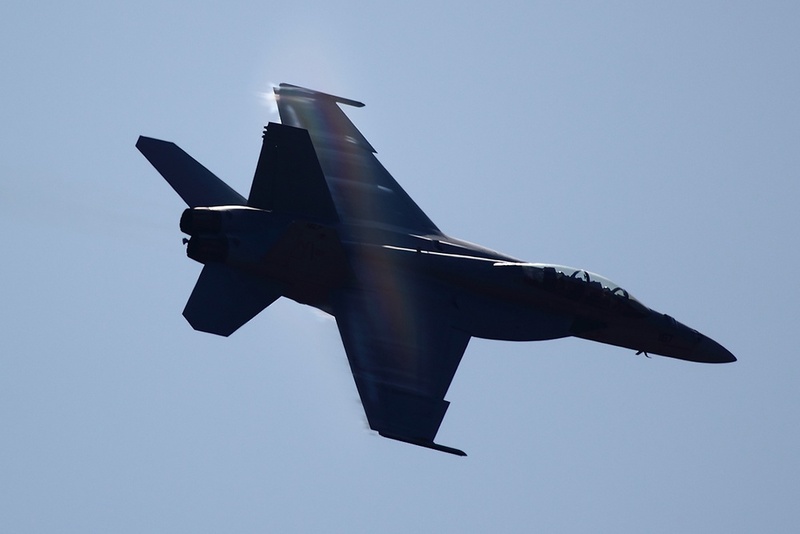 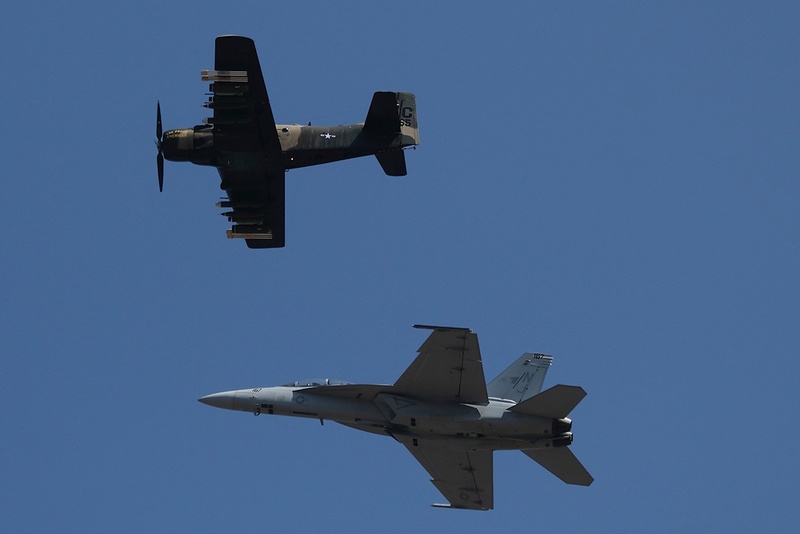 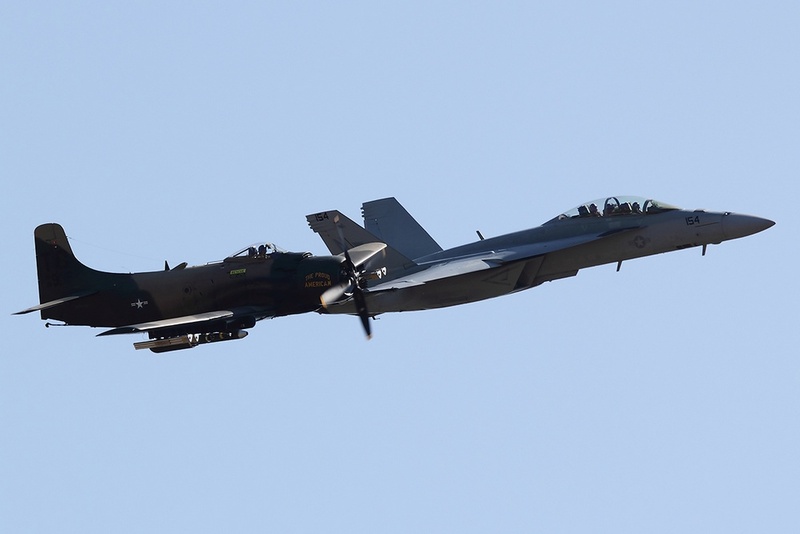 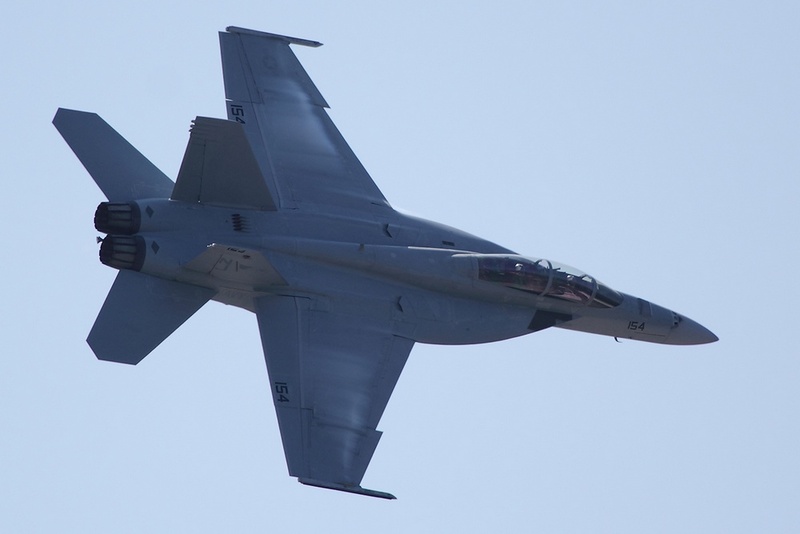 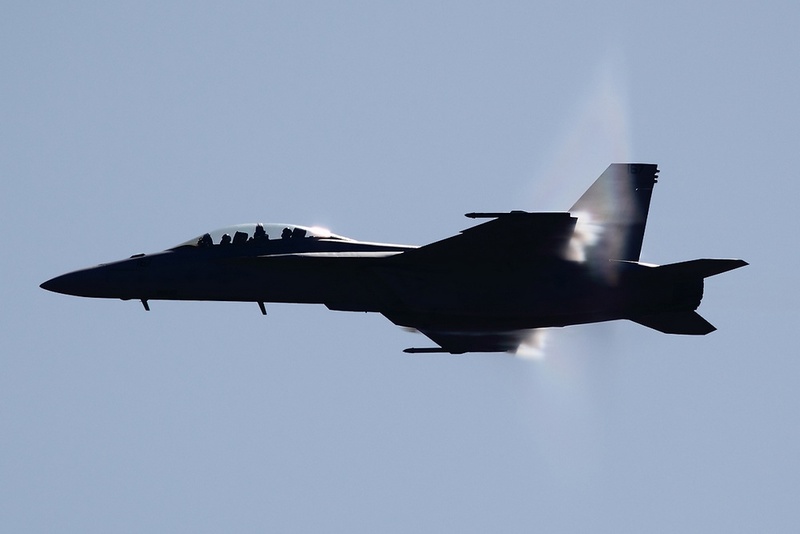 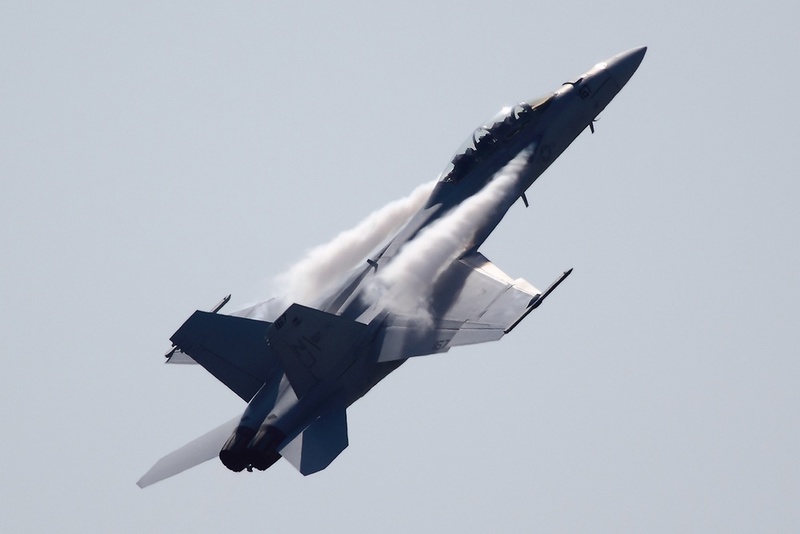 The NAVY sent up a pair of F/A-18’s from the VFA-122 to show off the USA’s version of the F/A-18 and then transitioned to a Legacy Tail Hook Flight where the F/A-18 was joined with an A-1 Skyraider also piloted by Anders. 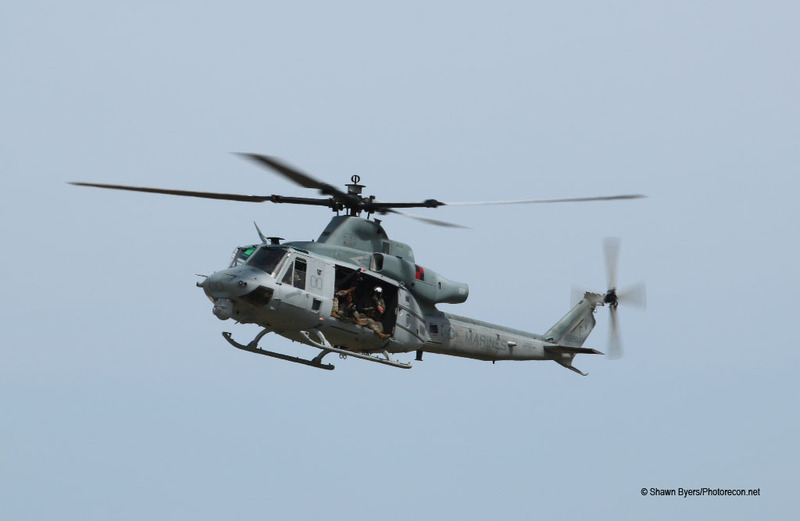 The show also featured a Search and Rescue Demo from the Coast Guard who brought their Dolphin Helicopter from Port Angeles. 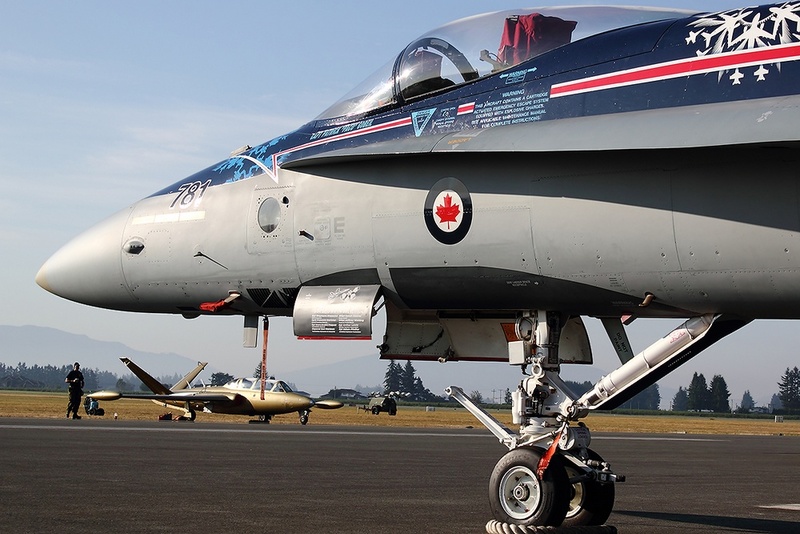 For the Canadian side of participation we saw the CF-18 demo, piloted by Captain Patrick “Paco” Gobeil. 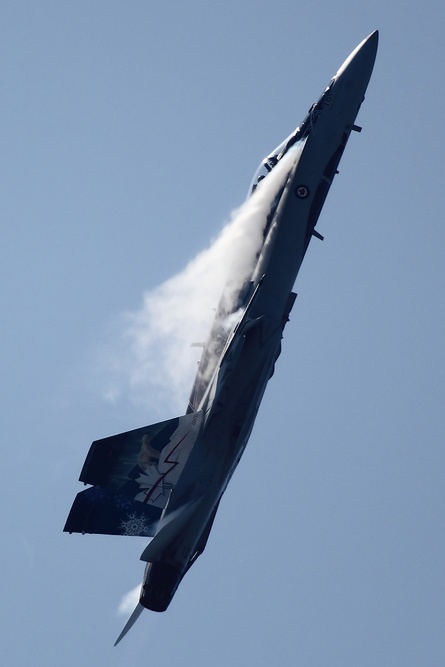 I have to say that this was one of the most exciting single ship demos that I have seen. 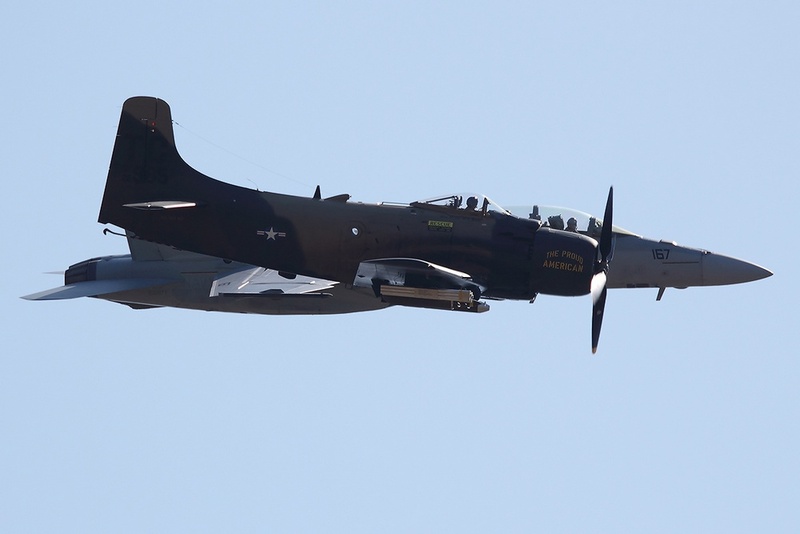 Paco holds nothing back during the demo and does things with the aircraft that I have never seen the US pilots try with their airplane. 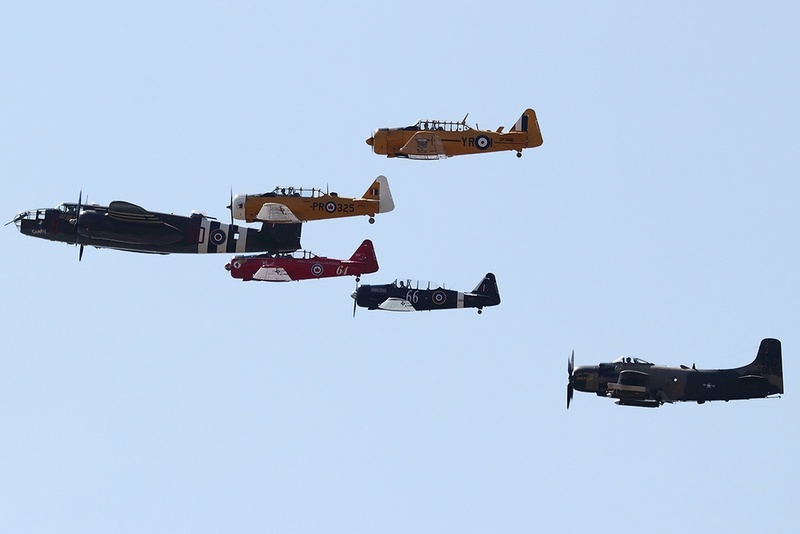 Unfortunately the wild flight caused the aircraft to break about a quarter of the way into the demo on Saturday. 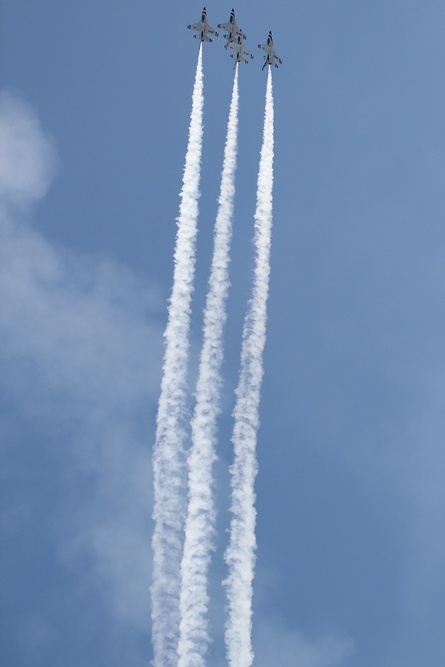 Leaving many in the crowd disappointed but still thoroughly impressed. 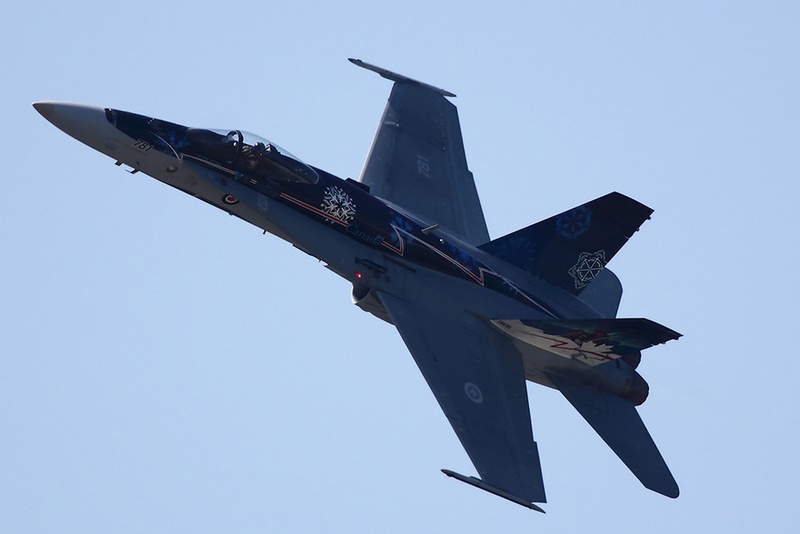 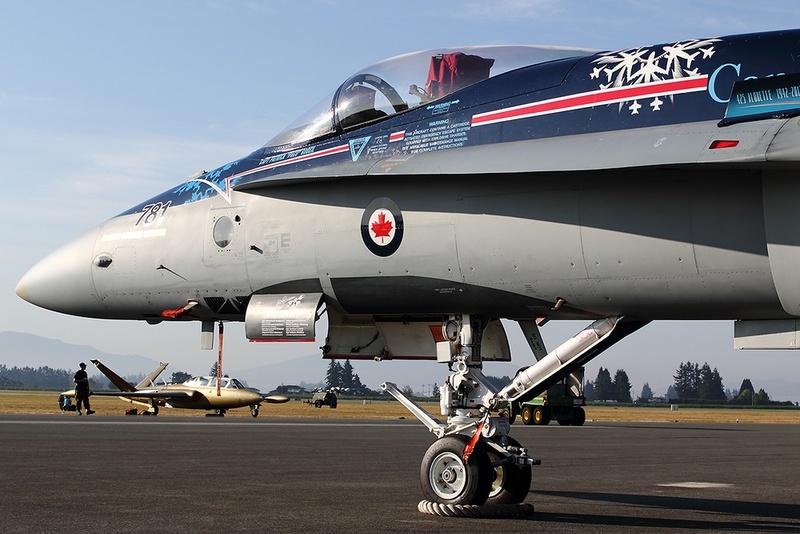 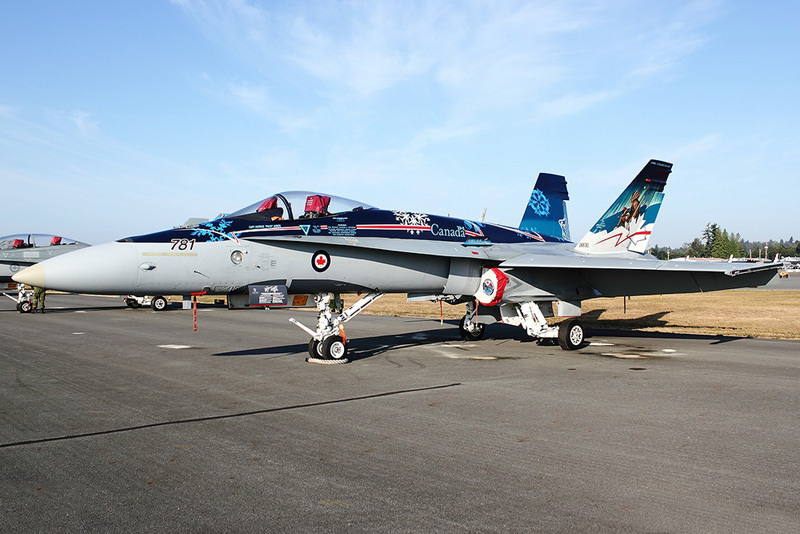 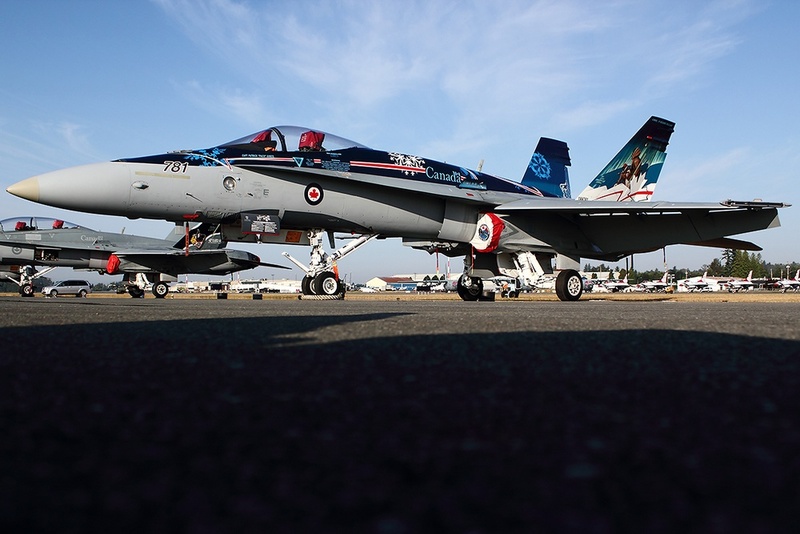 Something unique with the CF-18 demo team is that they apply a special scheme to the aircraft each year to signify the things that Canada stands for. 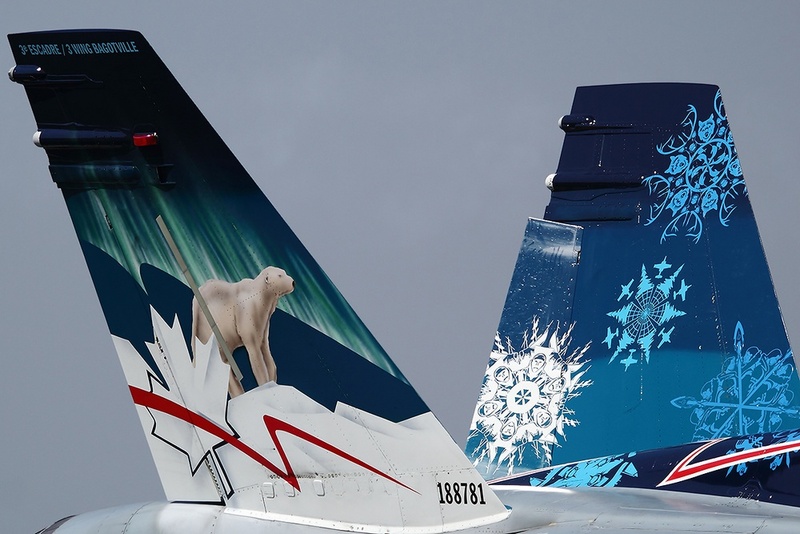 This year’s plane features 13 unique snowflakes that are representing Canada’s provinces and territories. 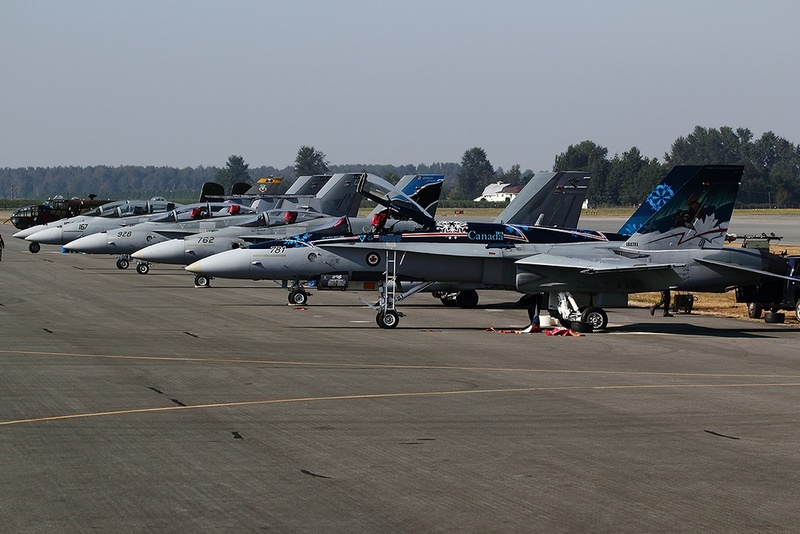 The other act that was featured was a Canadian Forces Joint Tactical Assault demo featuring assets from both the Air Force and Army. 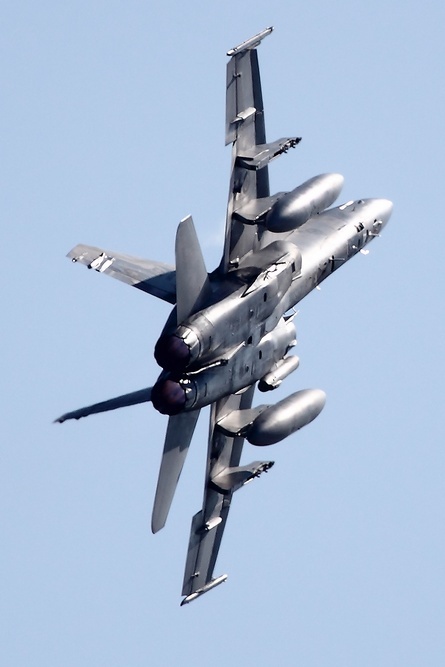 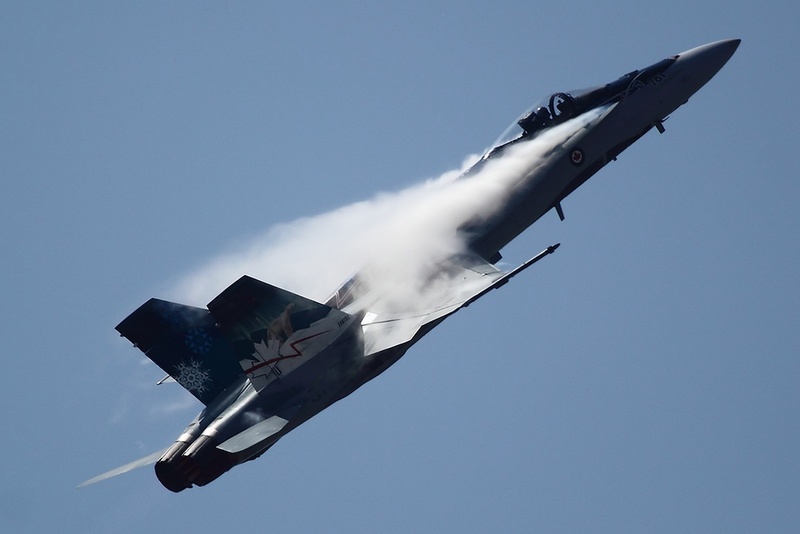 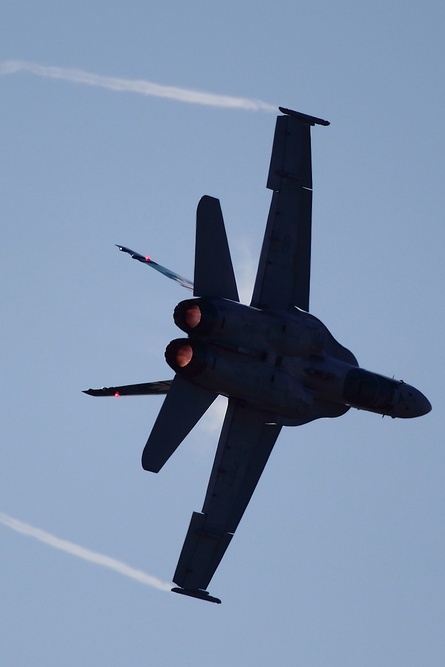 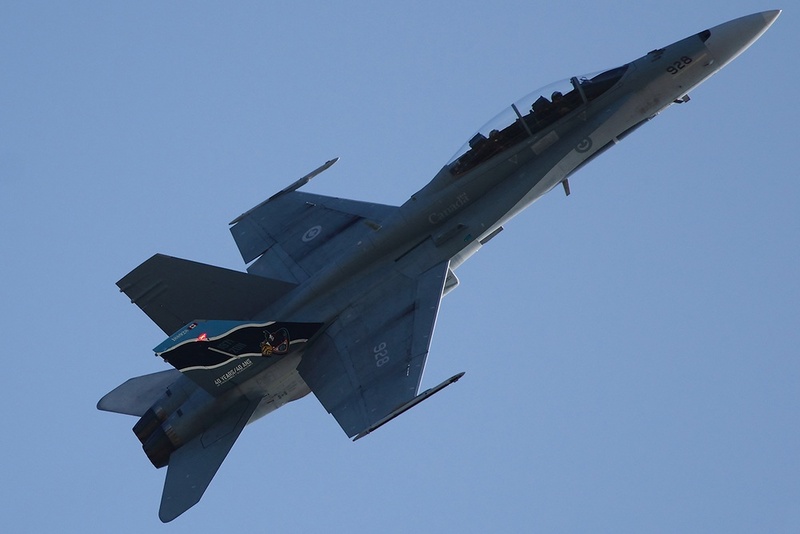 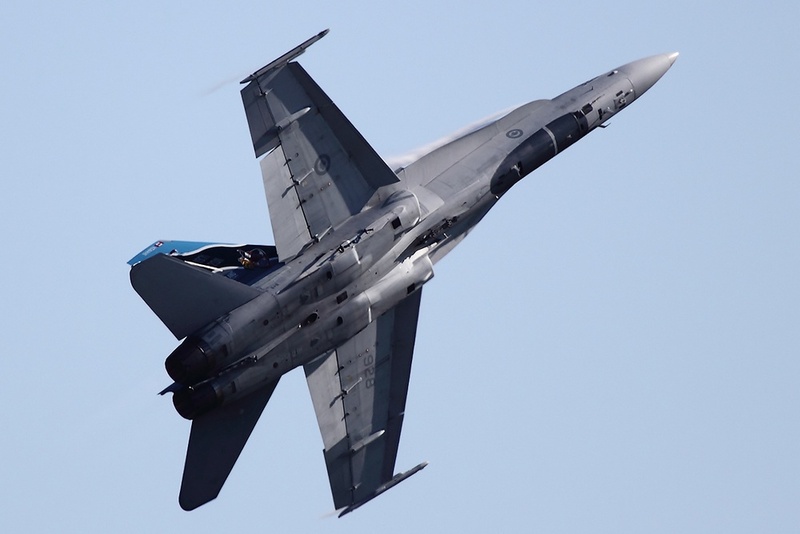 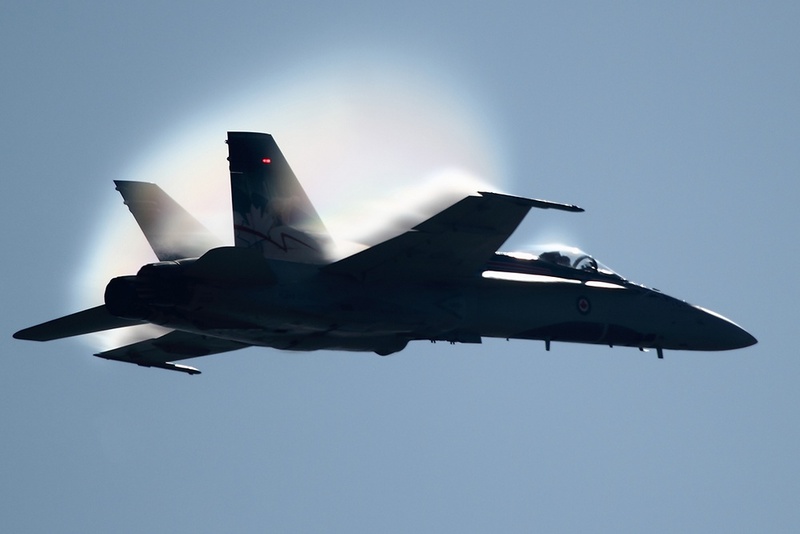 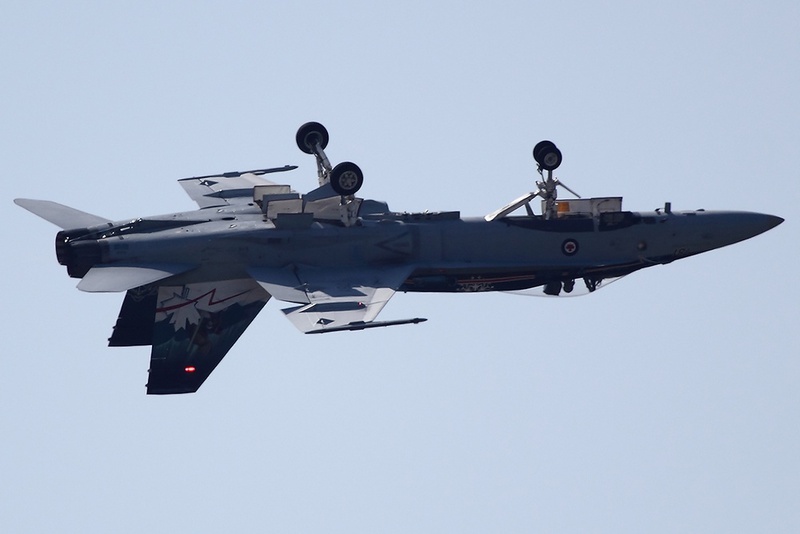 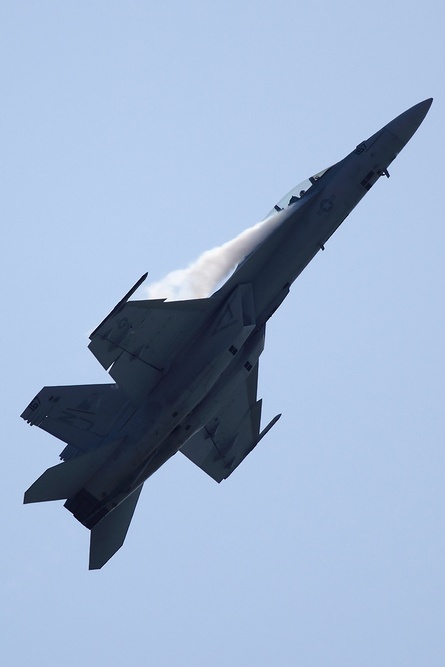 The Air Force sent up two CF-18s to show the Air Power while ground forces attacked the enemy and closed in on them. 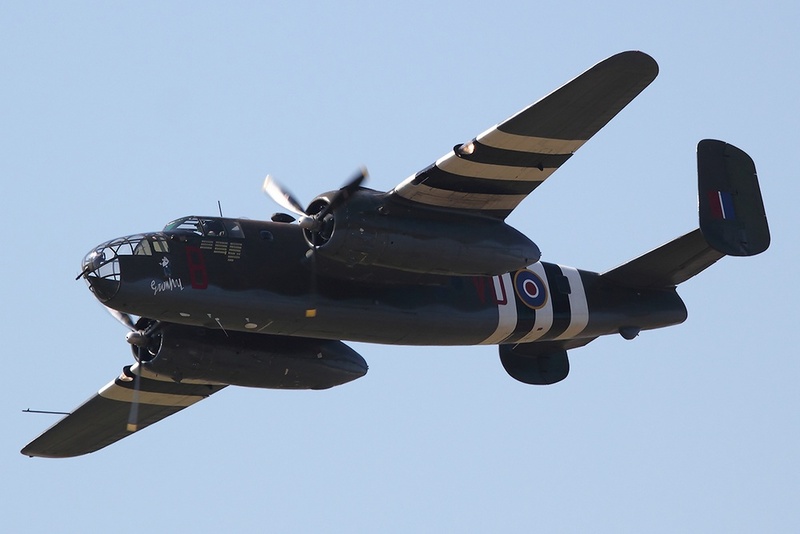 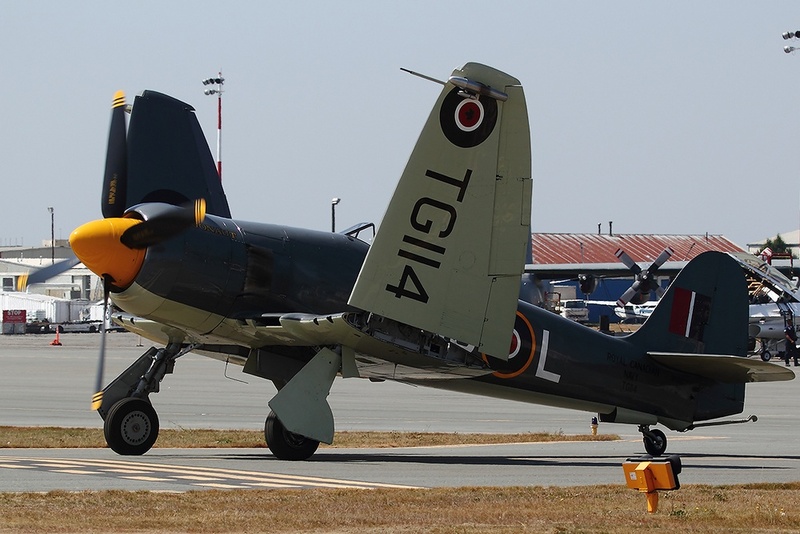 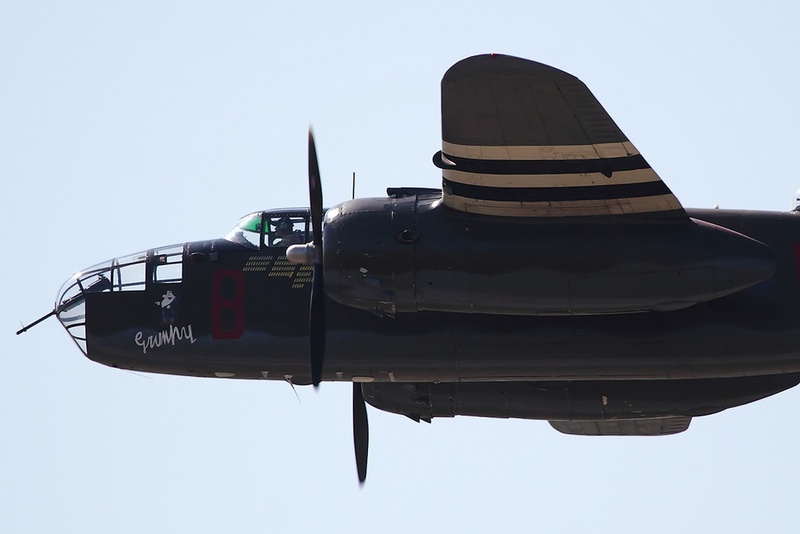 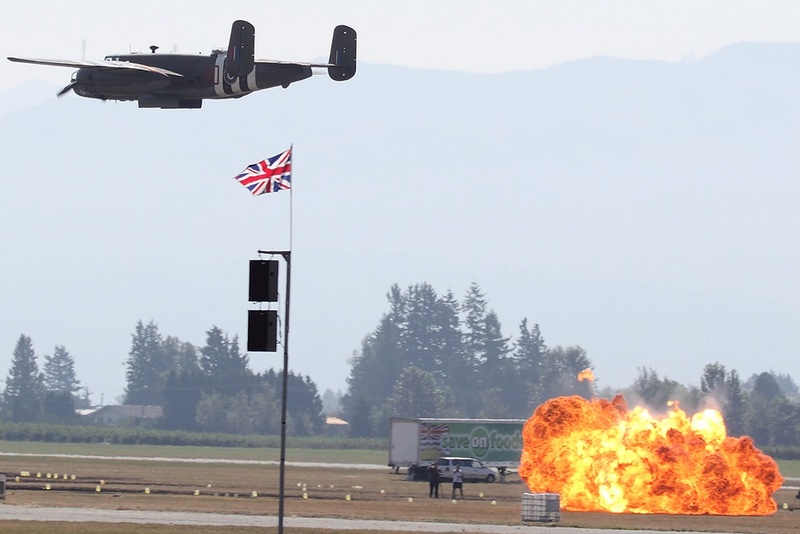 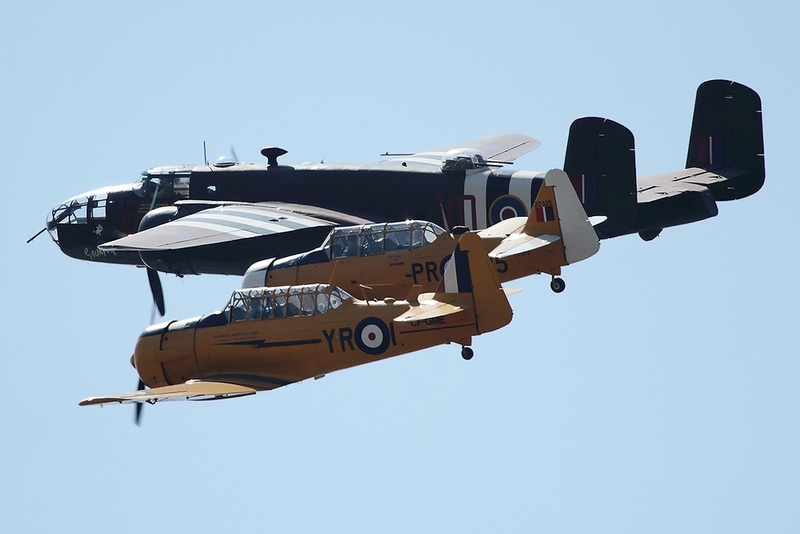 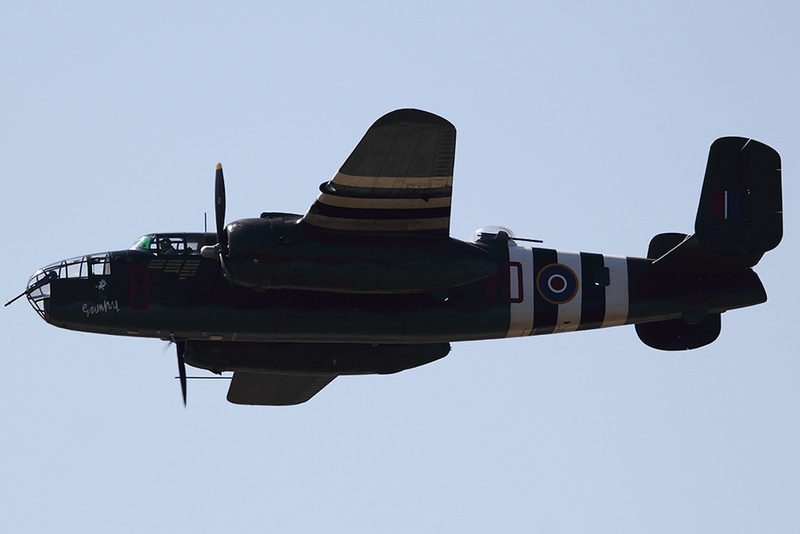 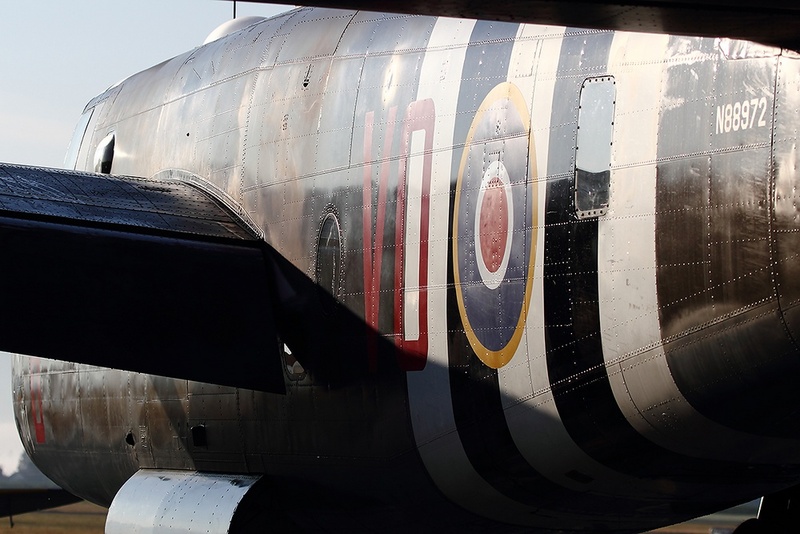 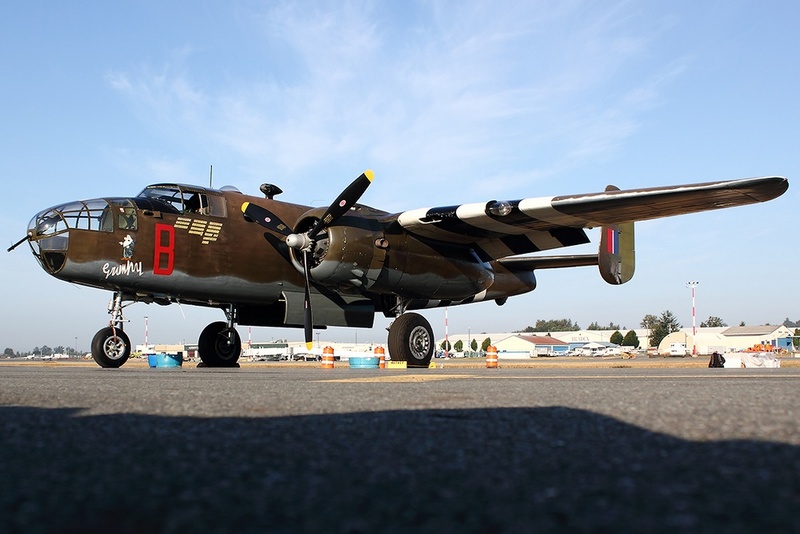 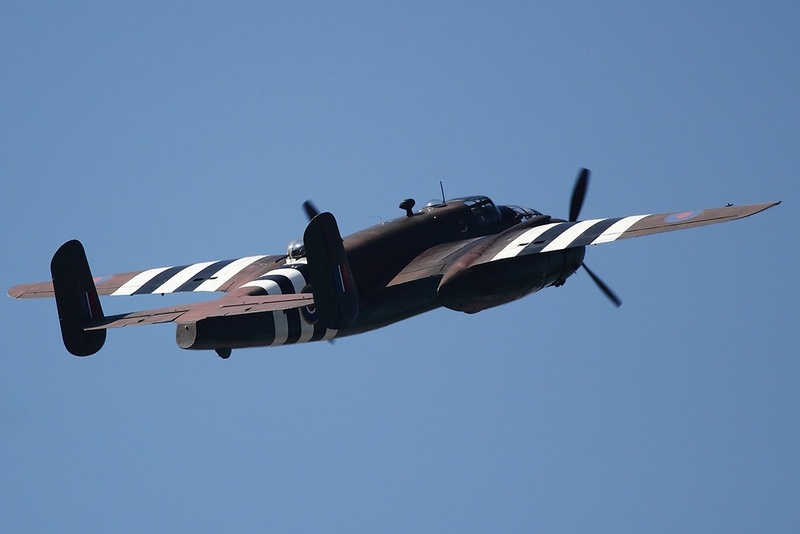 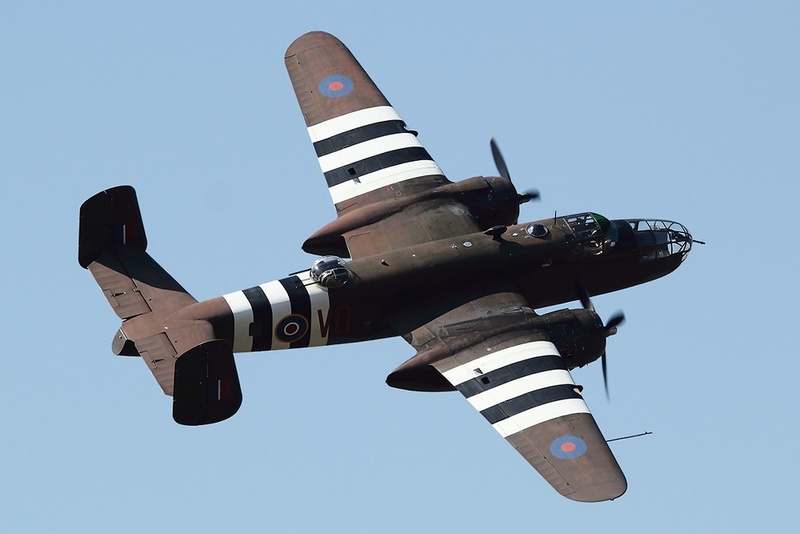 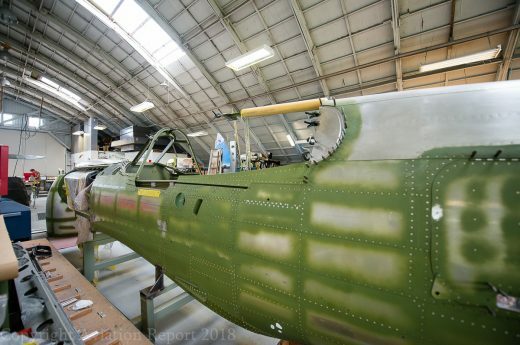 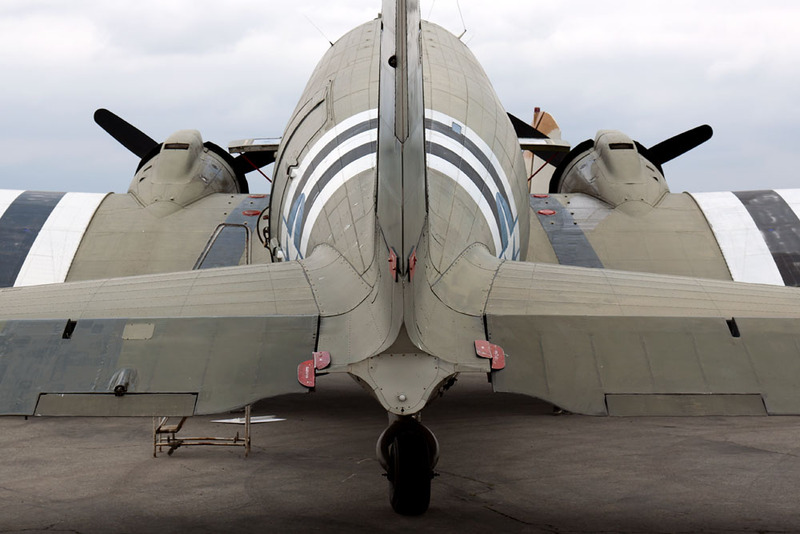 Many civilian acts would make the trip north of the border for this show, including Historic Flight Foundation with their B-25D Mitchell “Grumpy” and the Spitfire flown by HFF’s founder John Sessions. 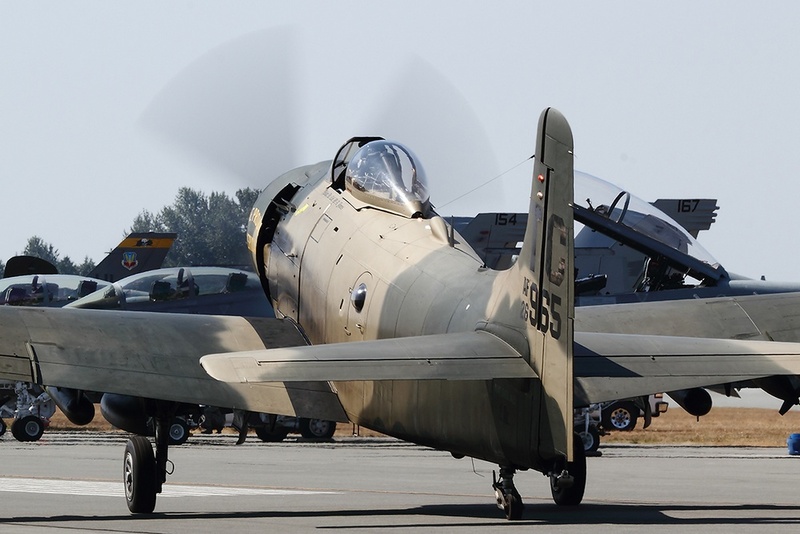 Heritage Flight Museum based in Bellingham also made it up to partake in the warbird demonstration with Anders flying the P-51 and Skyraider. 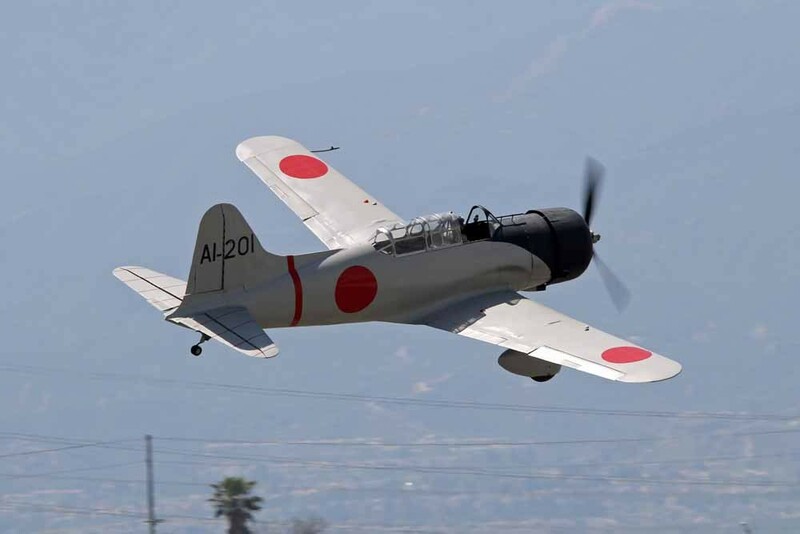 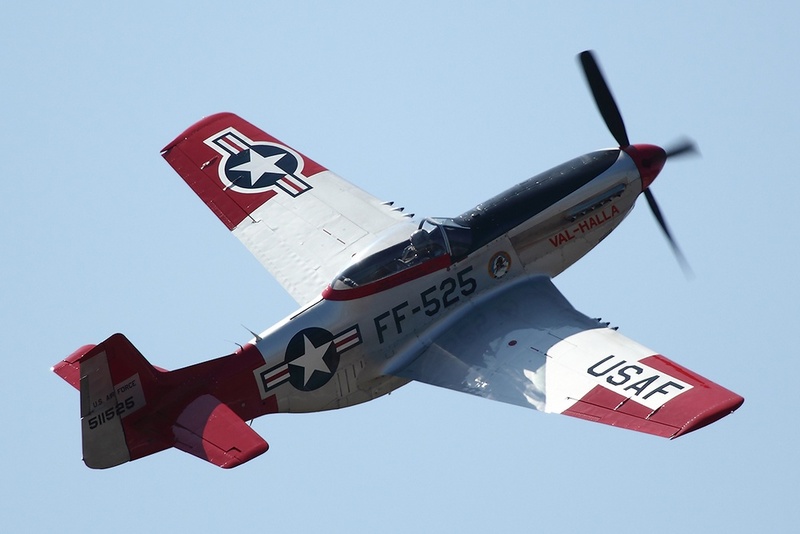 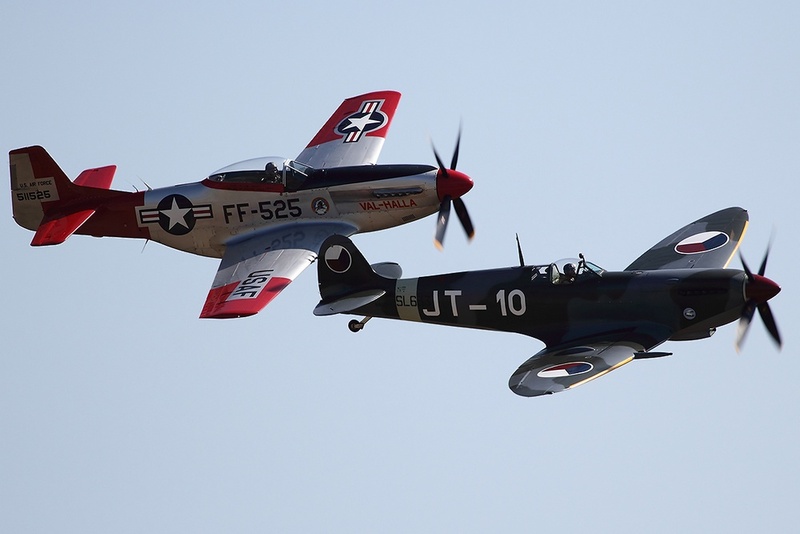 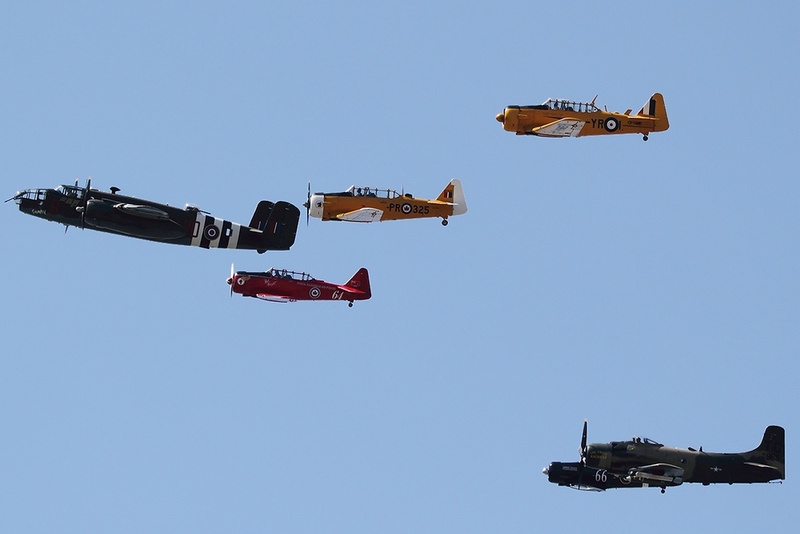 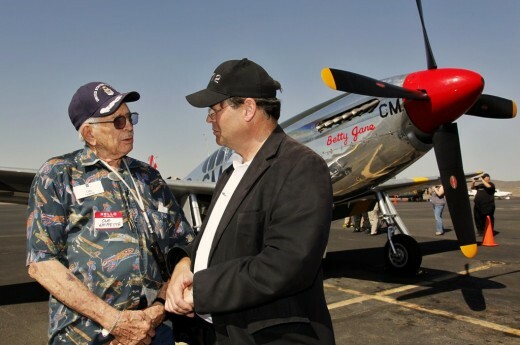 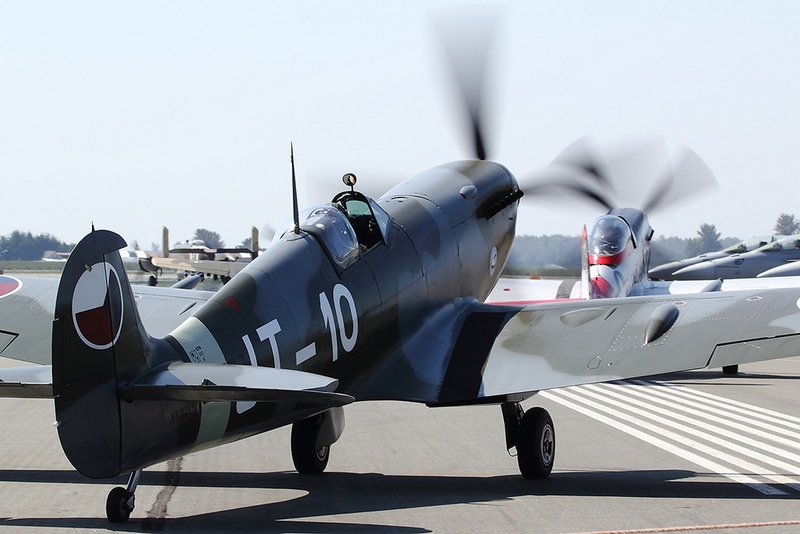 Announcing the warbird acts was Aviation Historian Barry Latter, who was a perfect fit with his knowledge and knowing to let airshow goers enjoy the music of the radial engines as they flew past. 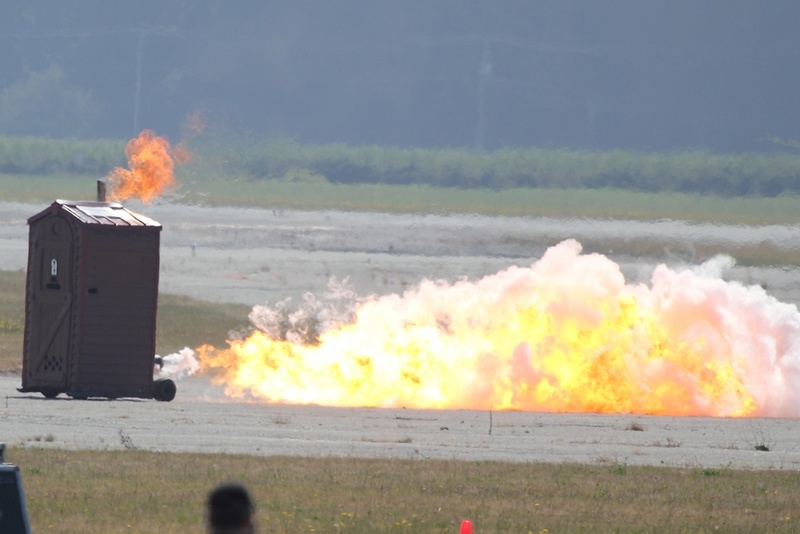 For one of the more entertaining acts of the show we had Paul Stender, who created a jet powered outhouse and school bus! 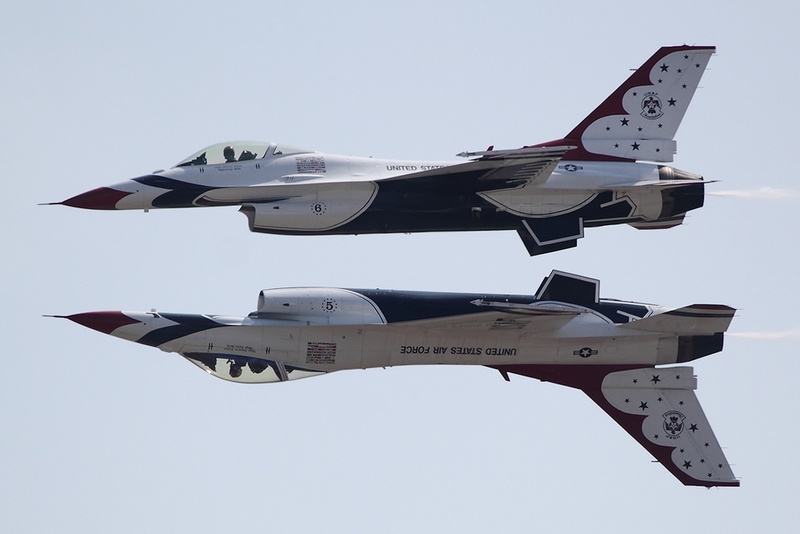 Now it was time for the main acts of the show, first up was the USAF Thunderbirds, who the Canadians have come to adore and love. 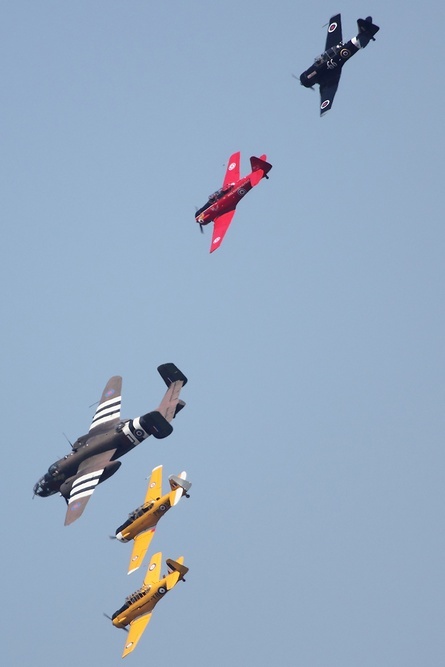 Flying in tight formations and pulling multi G turns, making close crossovers at closing rates over 1000MPH, along with some knife-edge passes and a couple of sneak passes that scared many airshow fans who were distracted by the diamond formation. 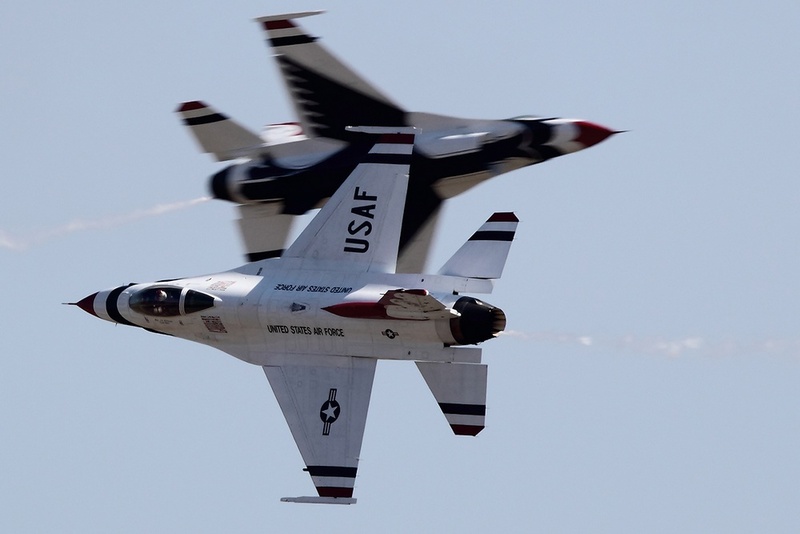 One thing that is nice about an international show is they do not perform the ground show! 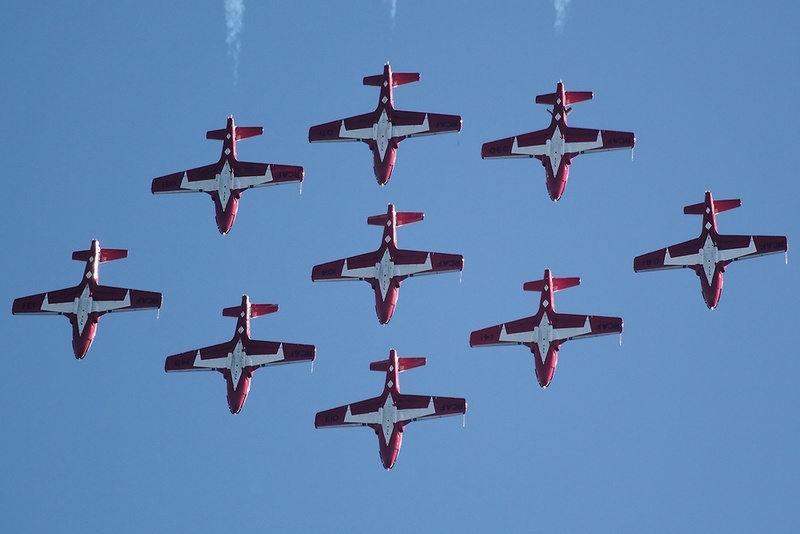 Following the Thunderbirds it was time for the Canadian Snowbirds. 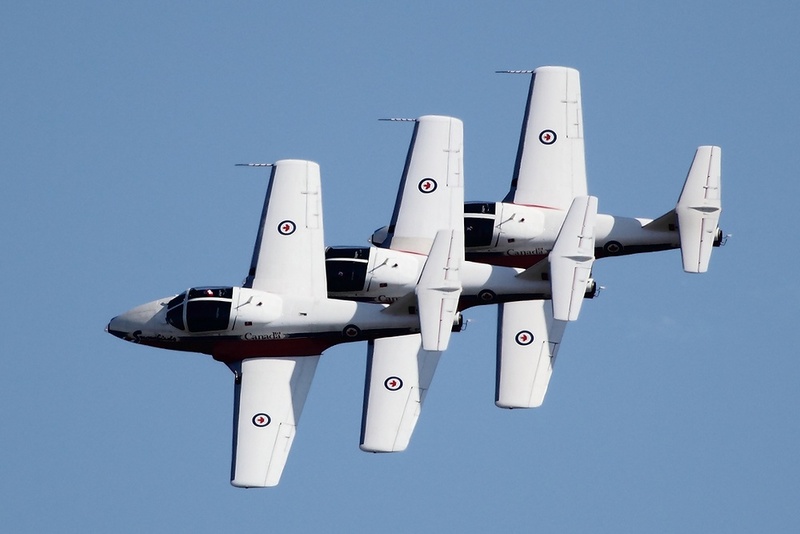 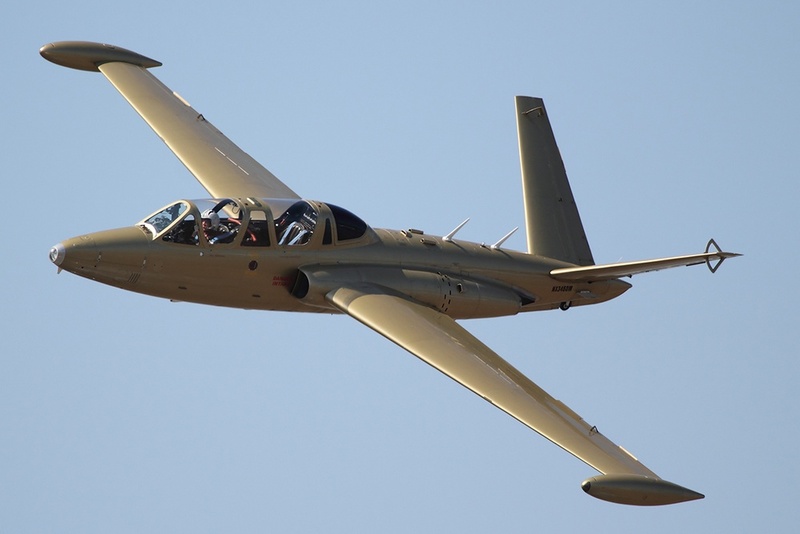 They fly nine Canadair CT-114 Tutor in many formations, it is truly remarkable how tight they keep all of their formations. 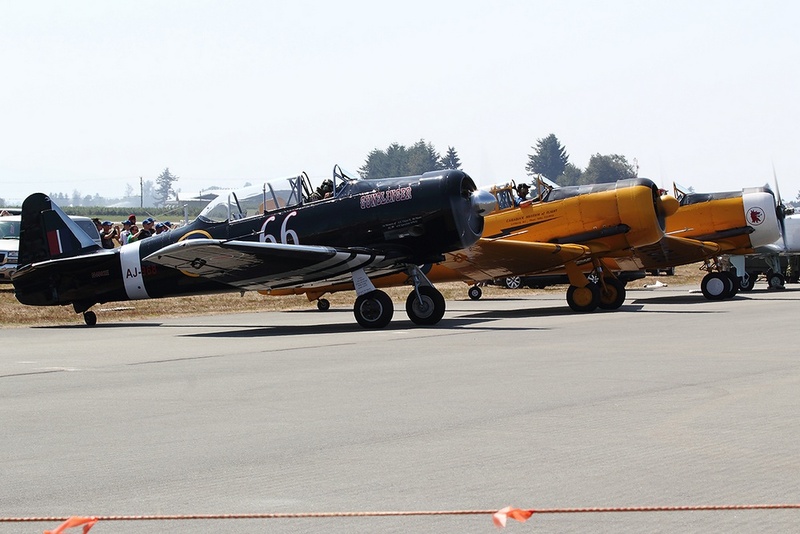 During the demo they run many crossovers of many types, including as few as two cutting over and up to as many as six all turning in different directions to narrowly avoid one another. 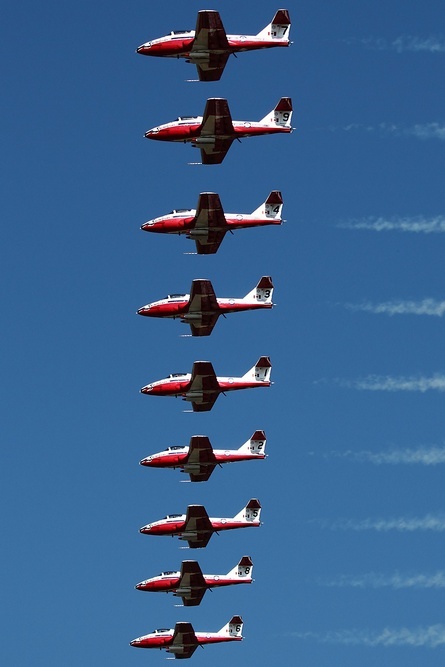 It was my first time really getting to see the Snowbirds fly and remarkable is all I can say. 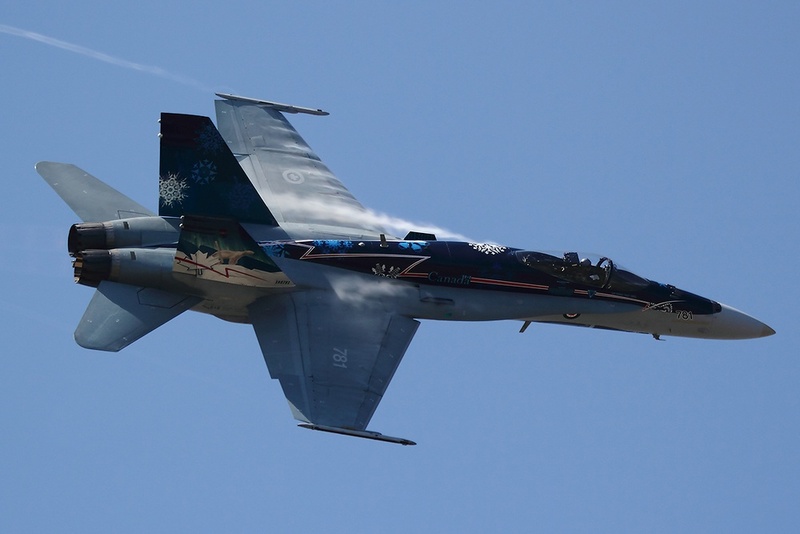 Many breathtaking maneuvers and they seem to have very few dull moments during the forty minute show. 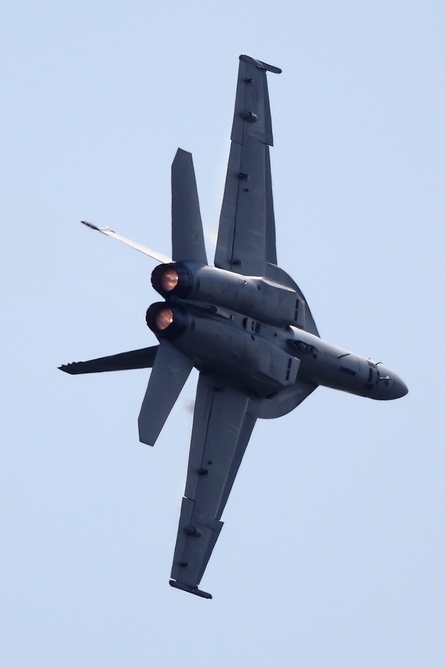 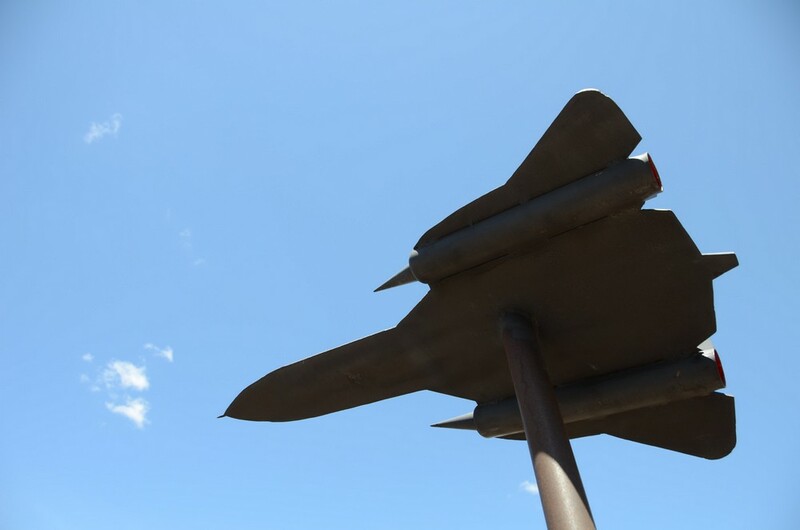 The only thing I wish they would have are some afterburners. 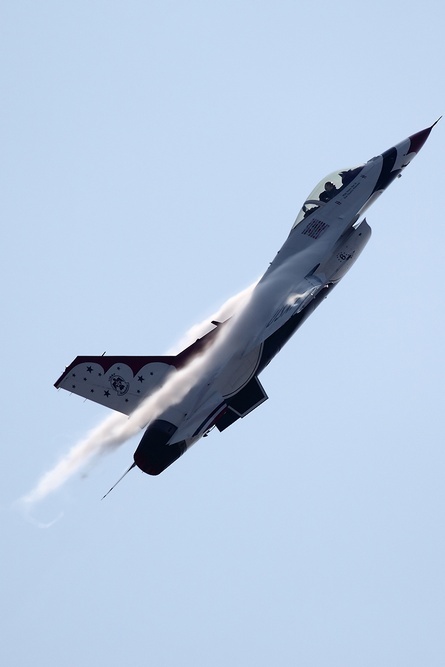 They have quite a few moments that they could put in a couple of sneak passes and really keep people on the edge of their seats. 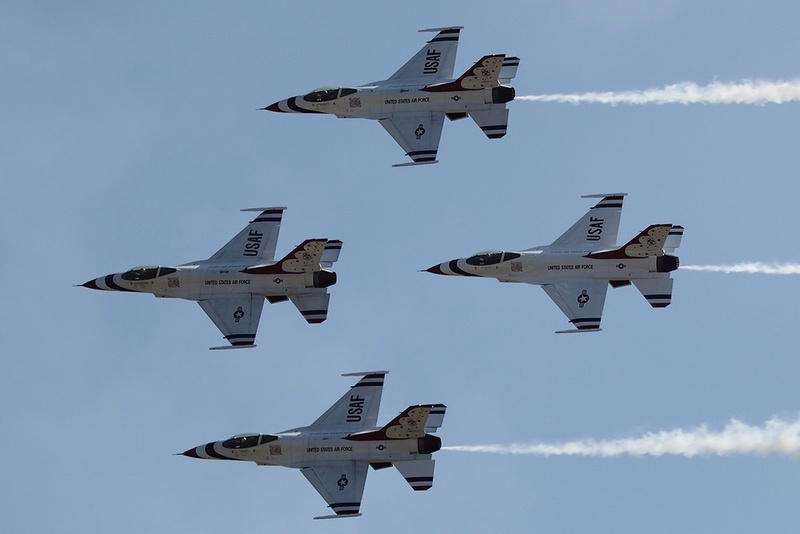 My recommendation is if you have never seen them and are contemplating a show that includes them, go to it! 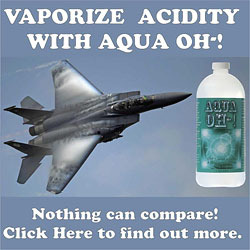 You will surely not be disappointed. 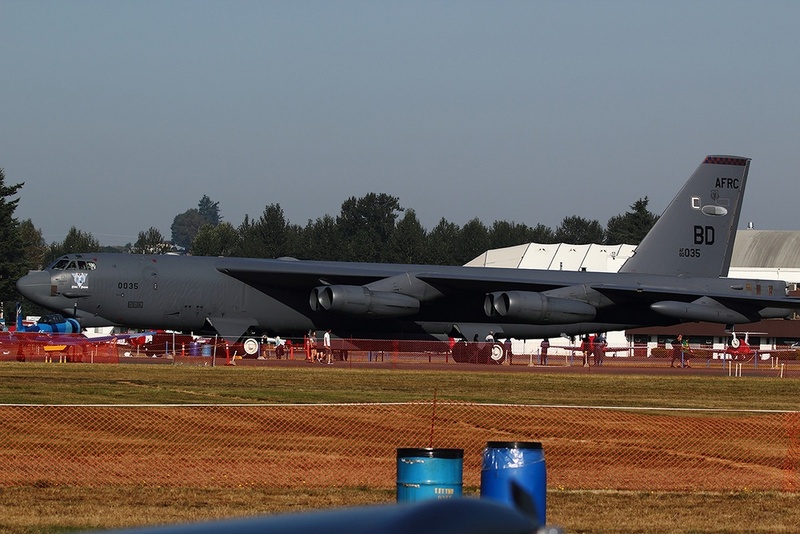 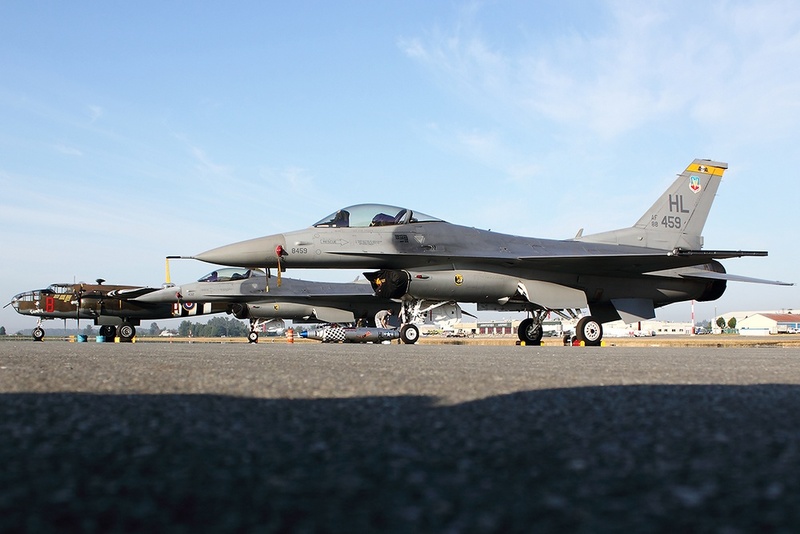 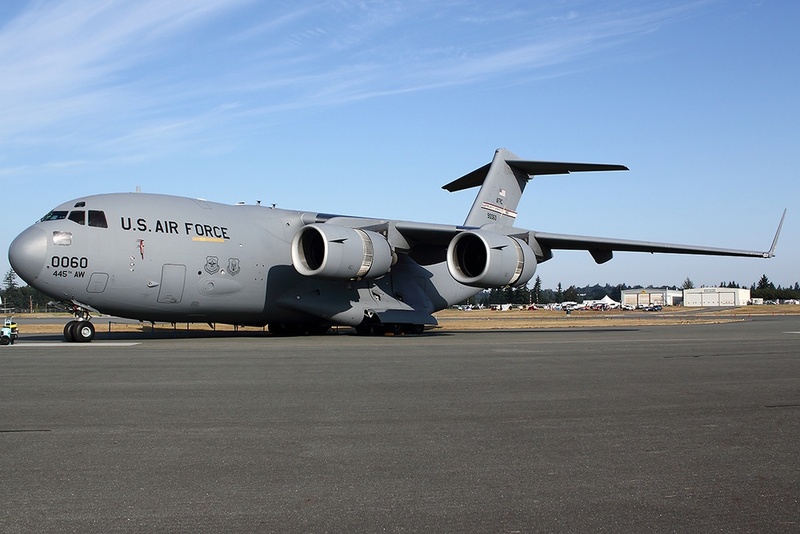 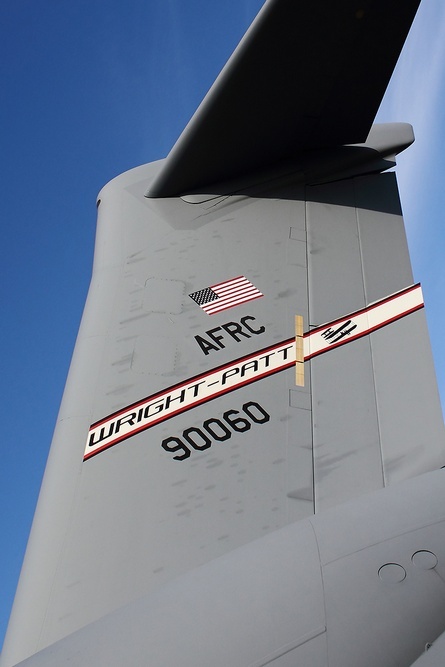 Another huge attraction to this show is the static line up that was here, including a KC-10, C-17A, KC-135, F-15, F-16, C-5, B-52, EA-6 and C-130 from the US Air Force. 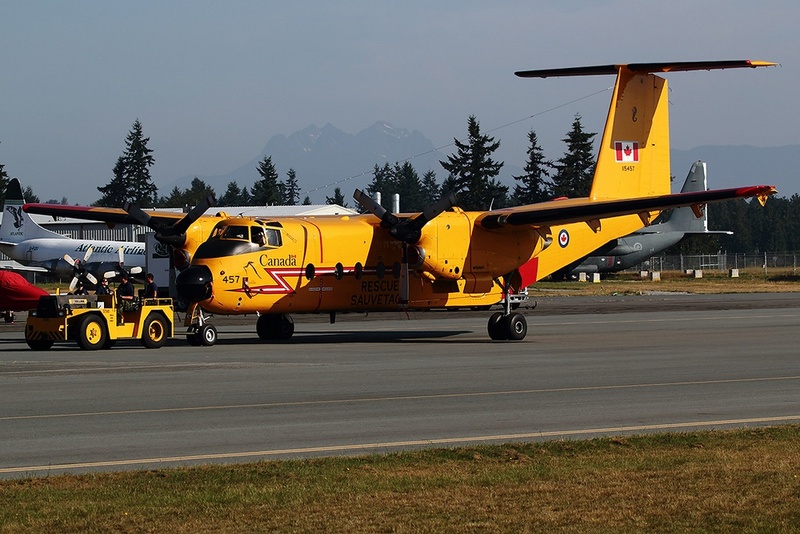 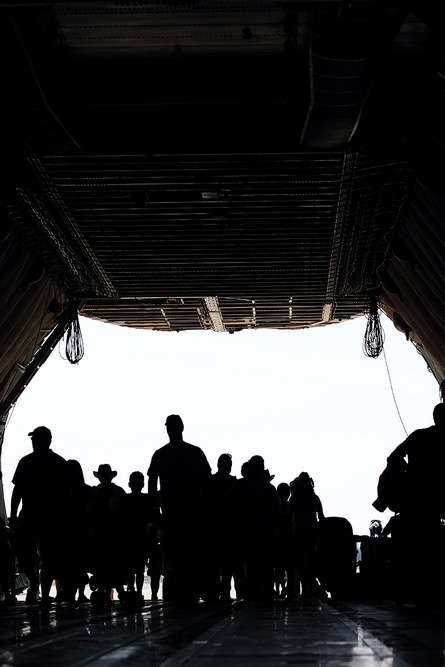 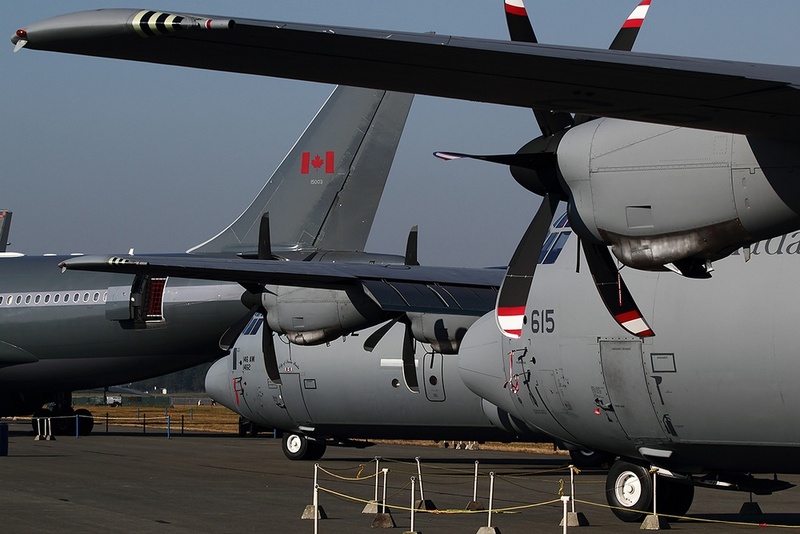 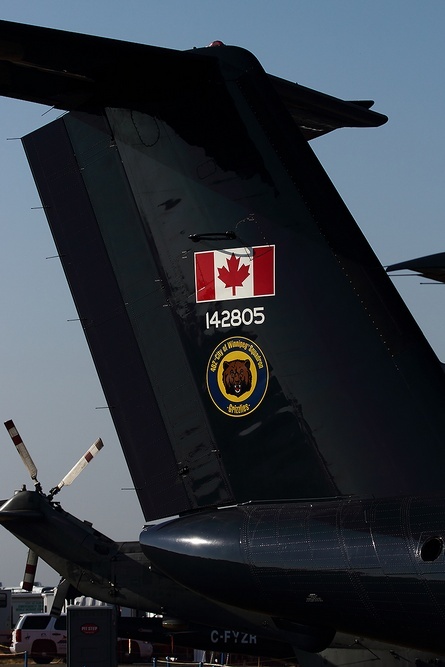 The Canadians brought in many aircraft including the C-130, CT-142, CT-155, CP-140 which is their version of the P-3 and an A-310 Troop Transporter along with a couple other smaller aircraft to show off to fans. 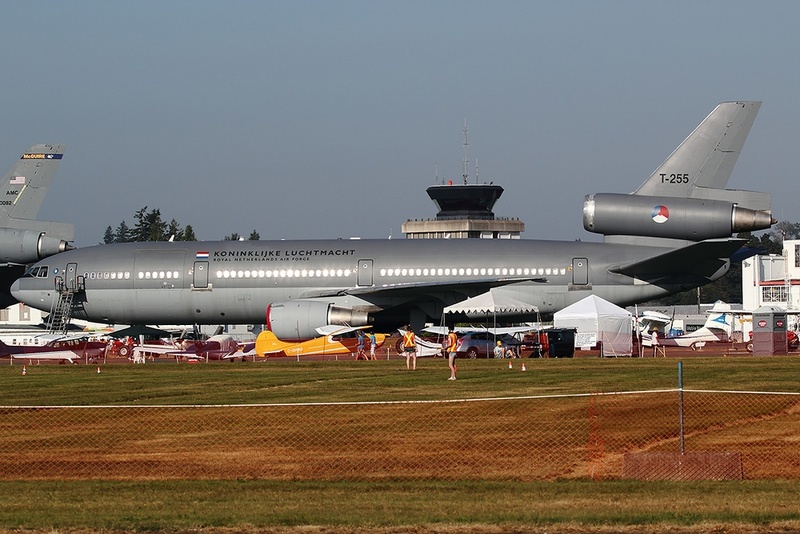 The main attraction however was a Netherlands KDC-10. 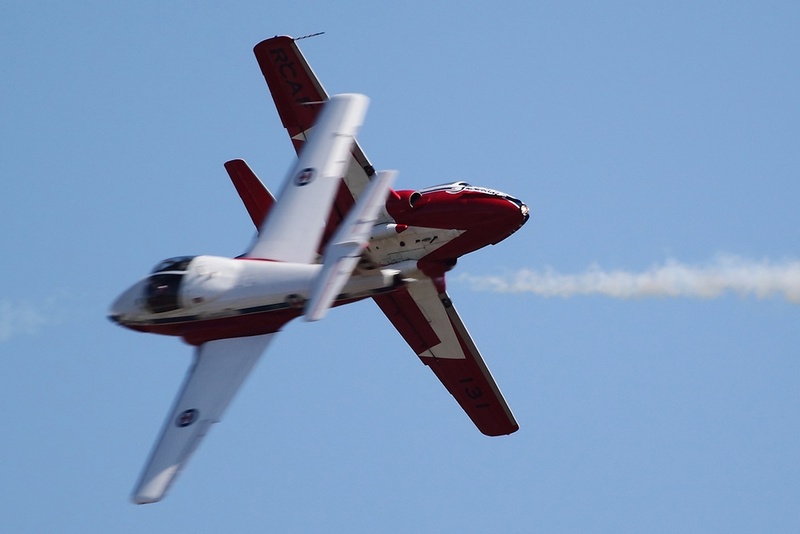 The main challenge to this show is light; up about to the point of when the Snowbirds go up it is harshly backlit making for tough photograph opportunities. 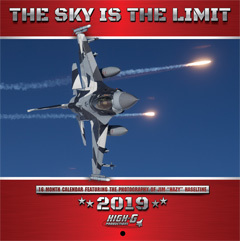 Regardless of that though, the stellar line up that seems to be great every year makes this a show that is well worth the trip up for and we look forward to covering future shows! 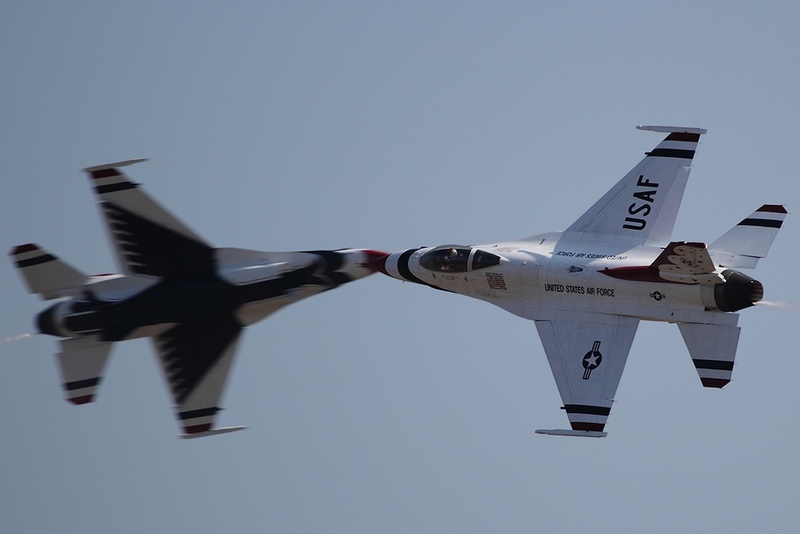 It takes many volunteers to keep this show going every year, from everyone on our staff we thank those that donates their time season after season to help make this show continue. 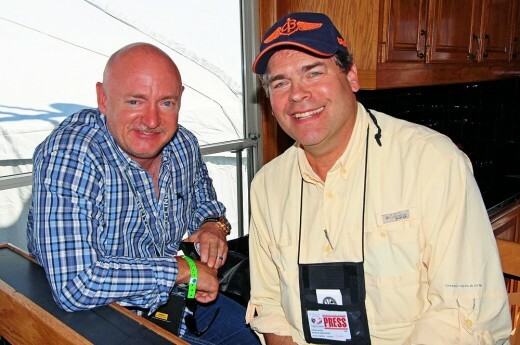 Also would like to thank Media Director Mary Lee for the great hospitality! 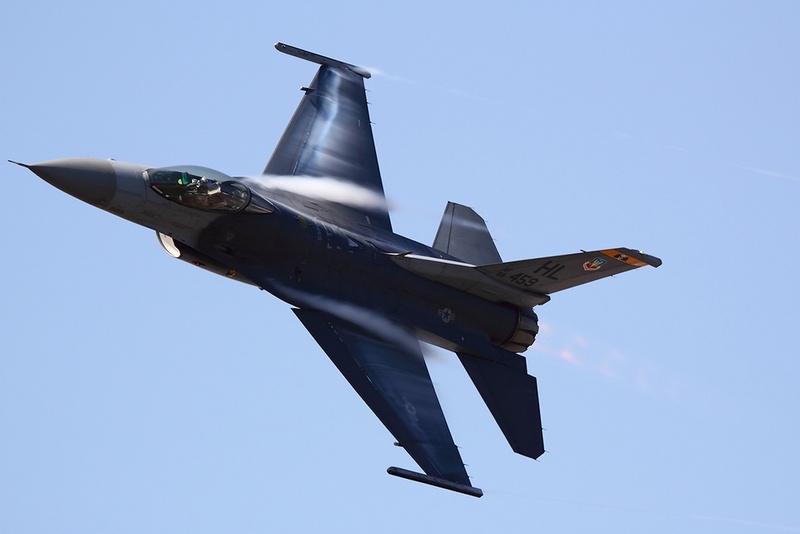 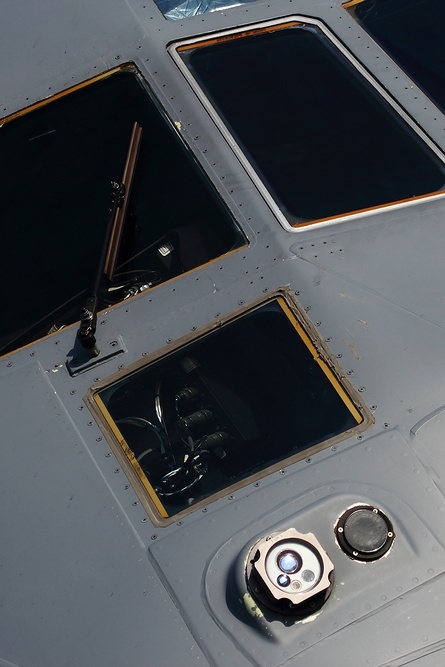 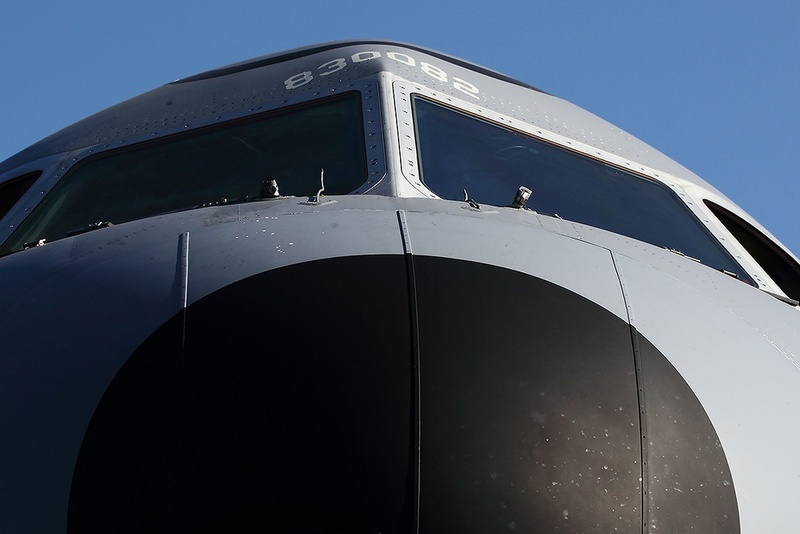 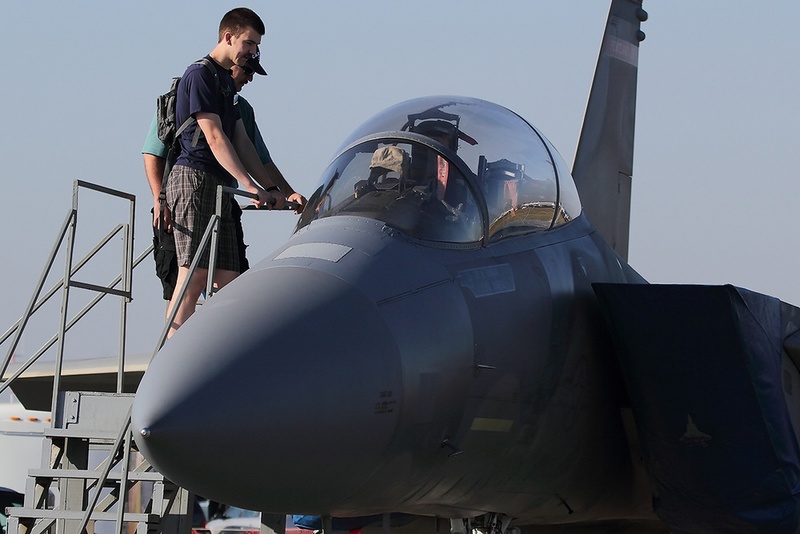 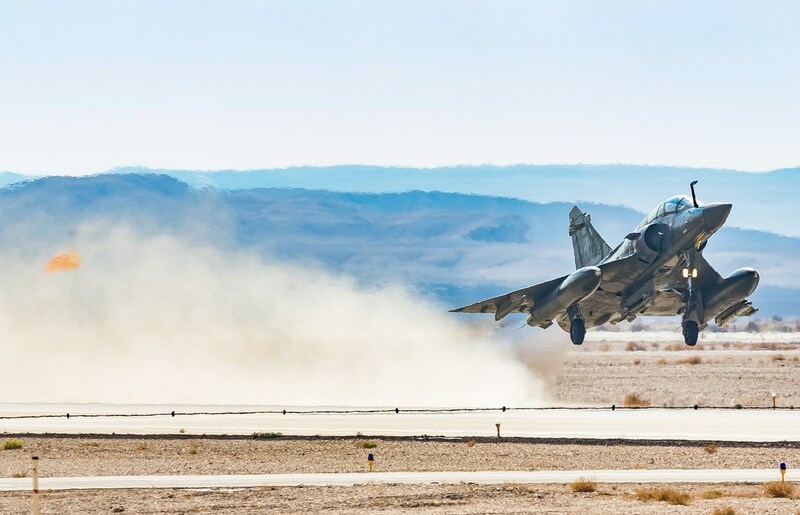 Brandon Farris is an avid aviation photographer who spends his weekends off traveling across the country taking pictures of both civilian and military aircraft. 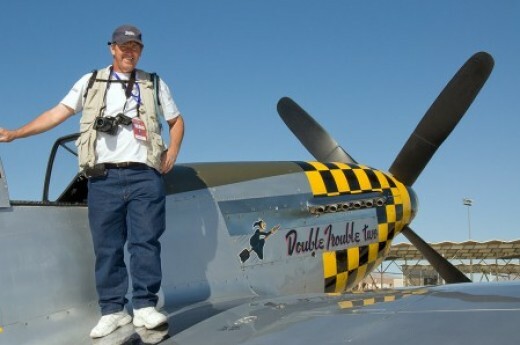 He uses Canon as his main camera. 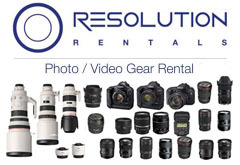 The body he currently uses is the T2i combined with the 100-400MM. 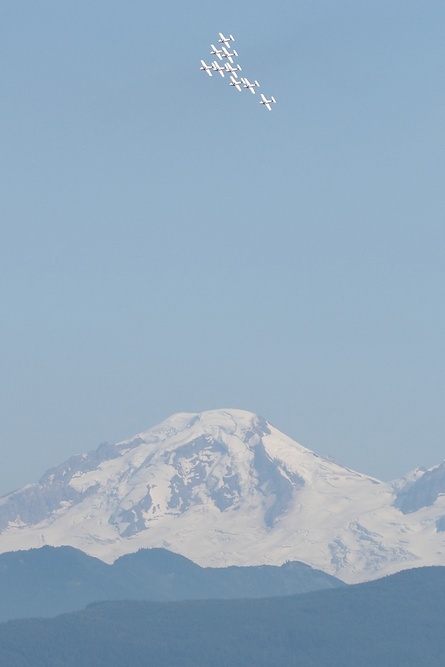 When not traveling Brandon resides in Seattle, Washington.